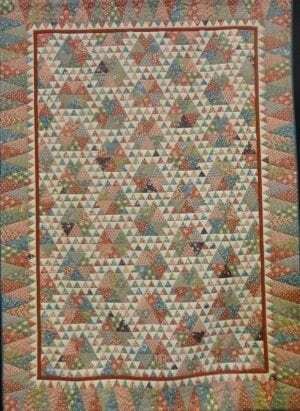 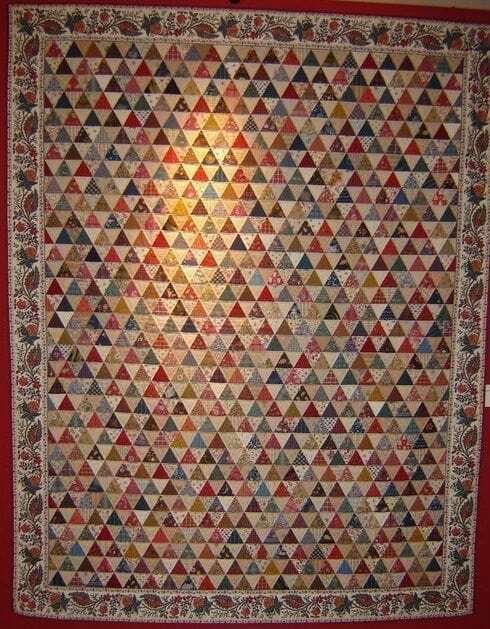 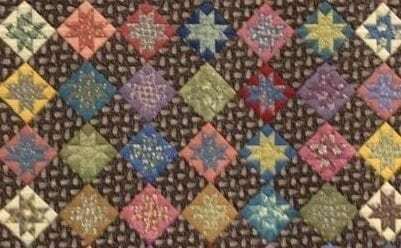 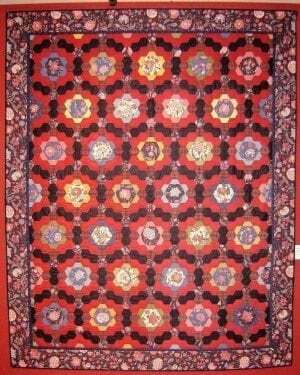 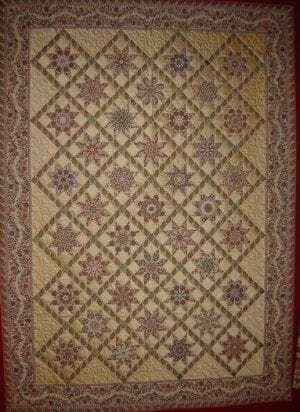 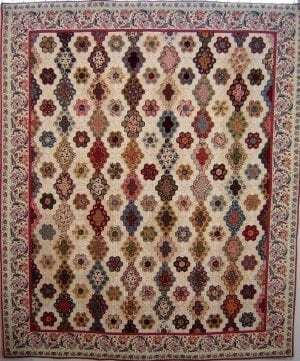 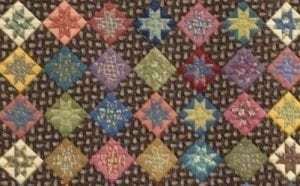 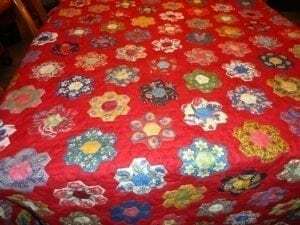 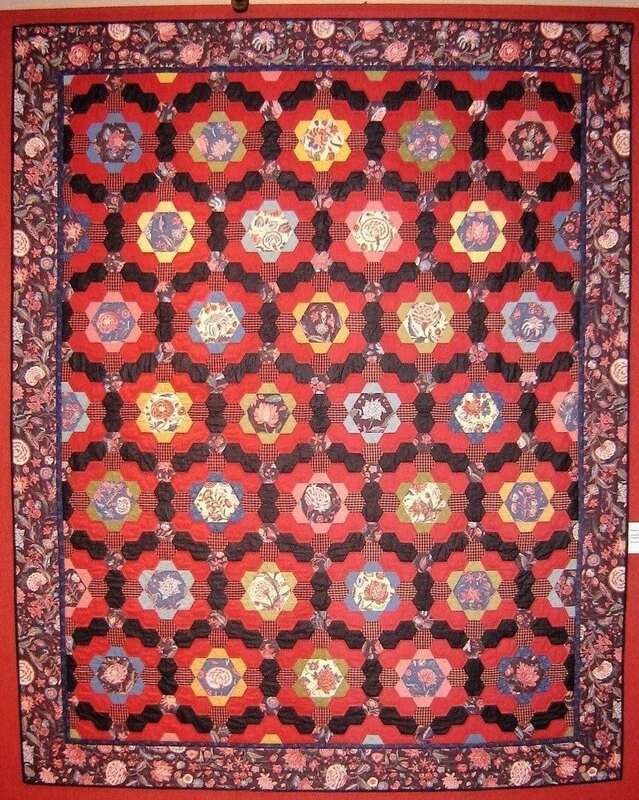 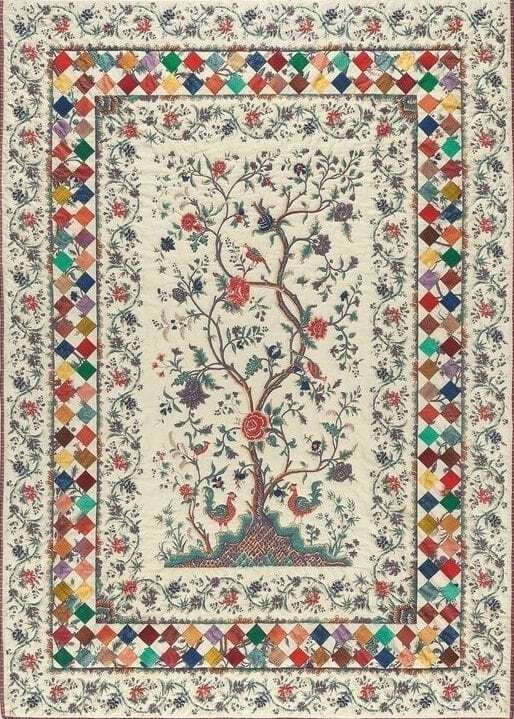 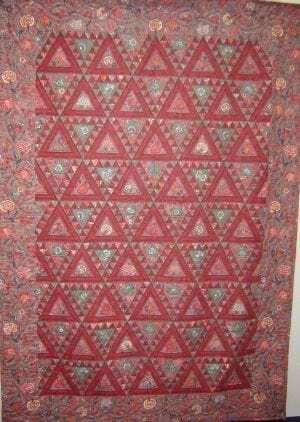 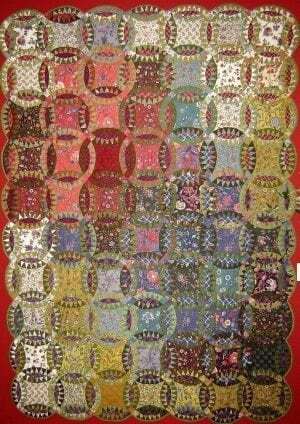 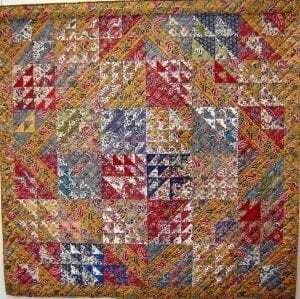 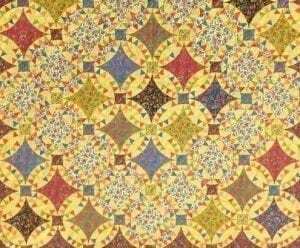 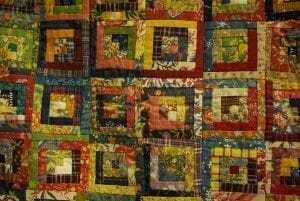 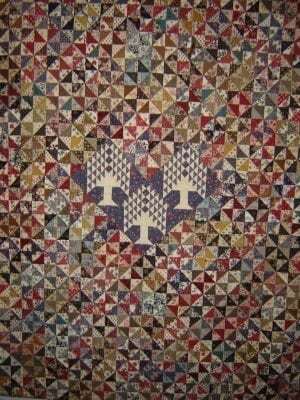 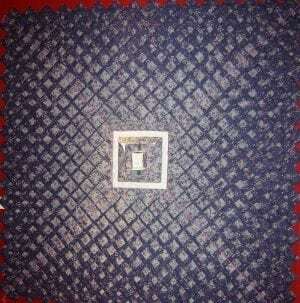 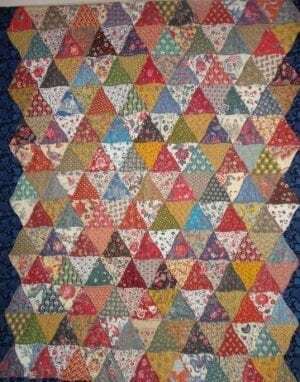 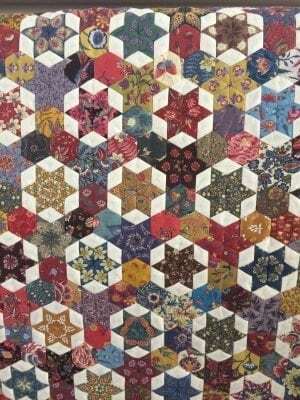 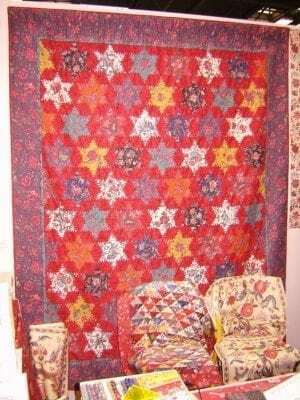 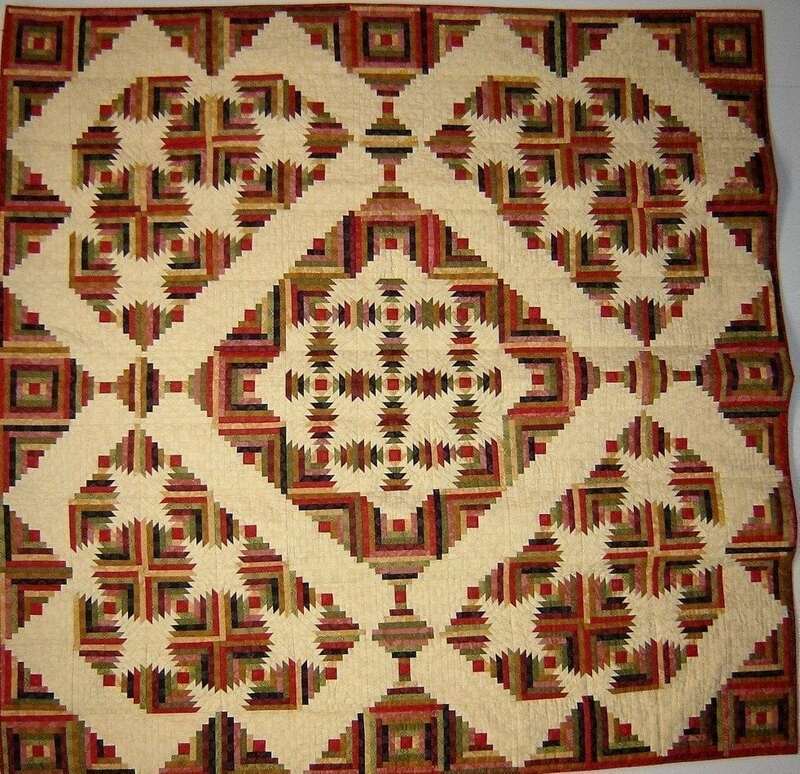 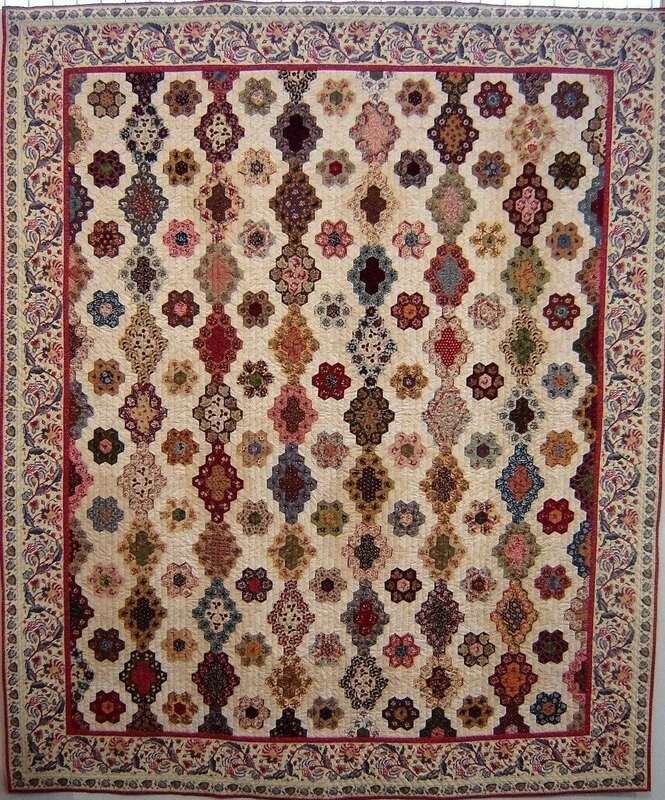 To give you an idea or help you on your way to create a quilt or (historical) costume or perhaps the upholstery of your interior, we show some examples on this page. 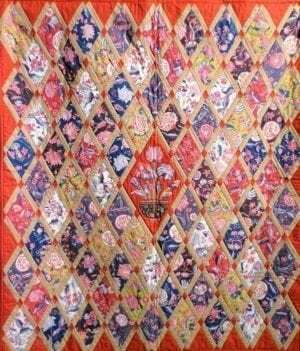 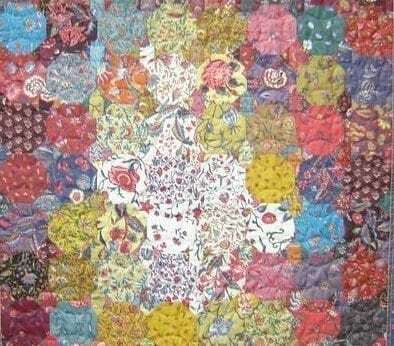 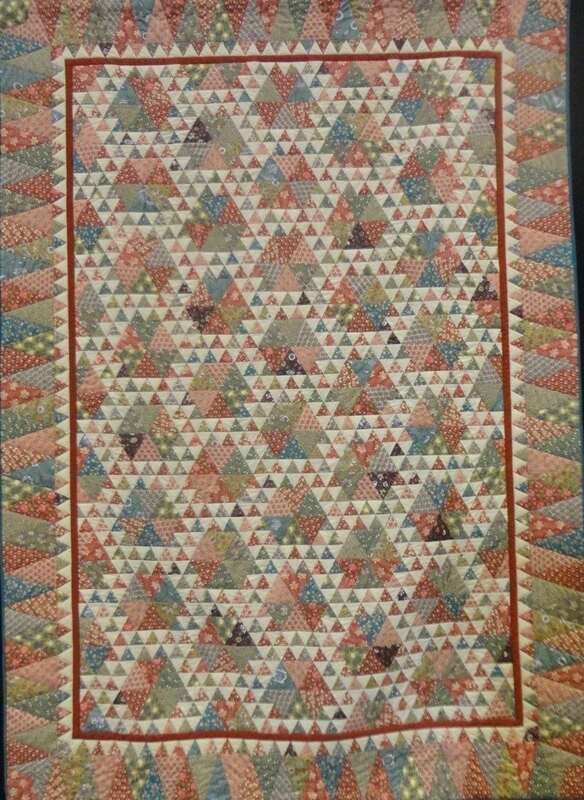 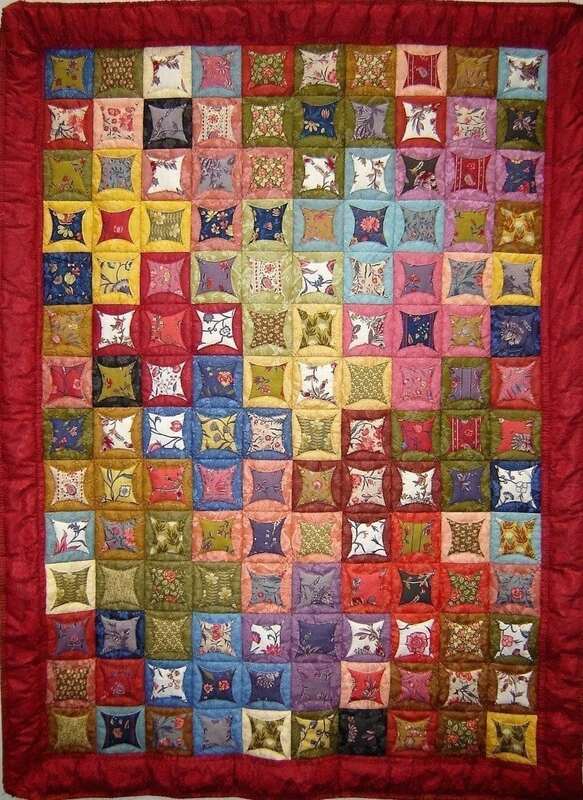 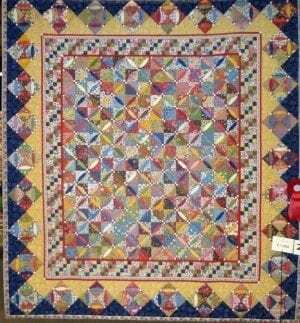 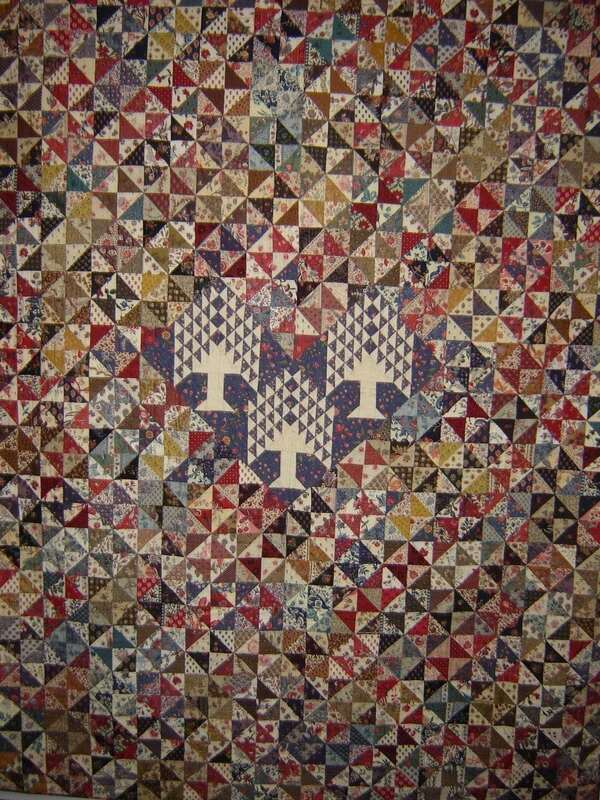 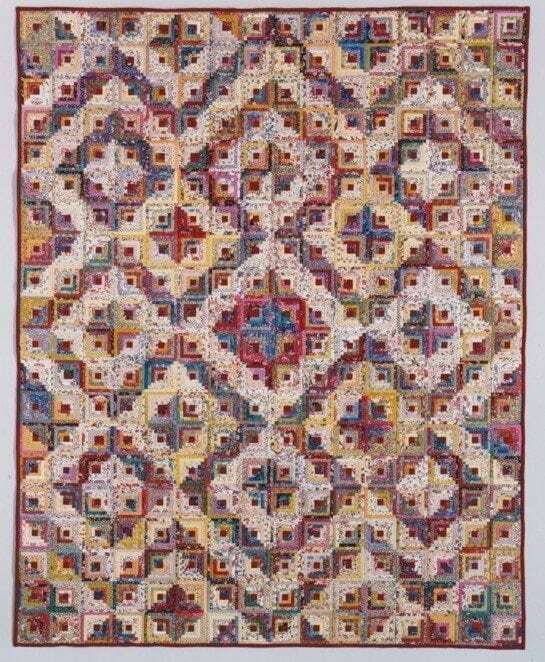 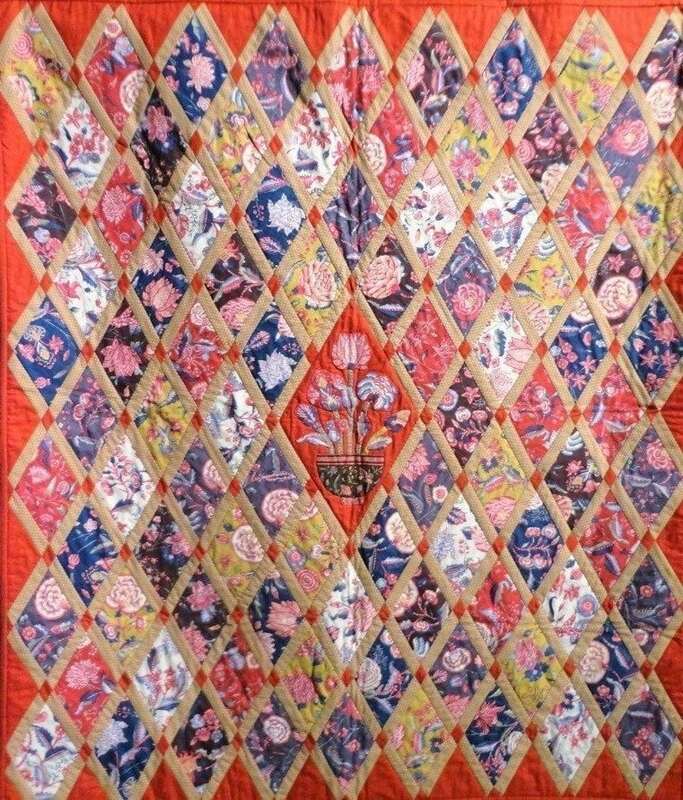 The quilts are entirely or for the major part composed with the chintz fabrics of the Den Haan & Wagenmakers collection. 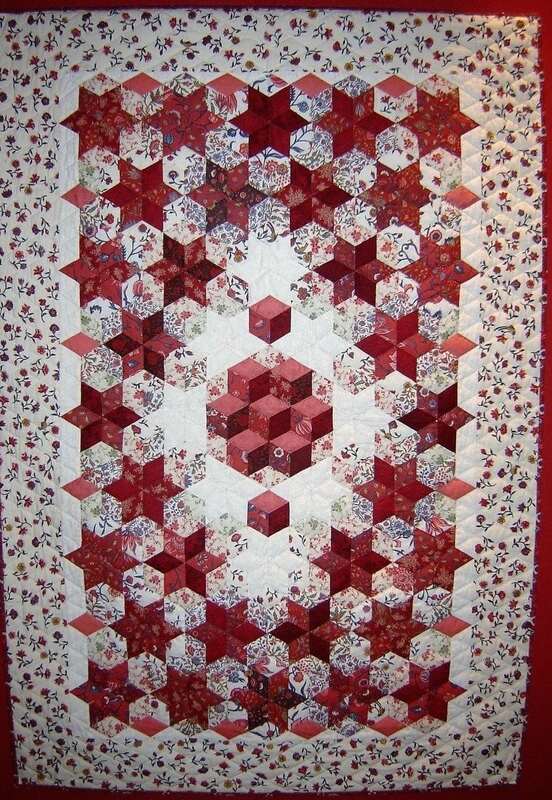 From the examples shown on the display are no kits/packages and patterns available. 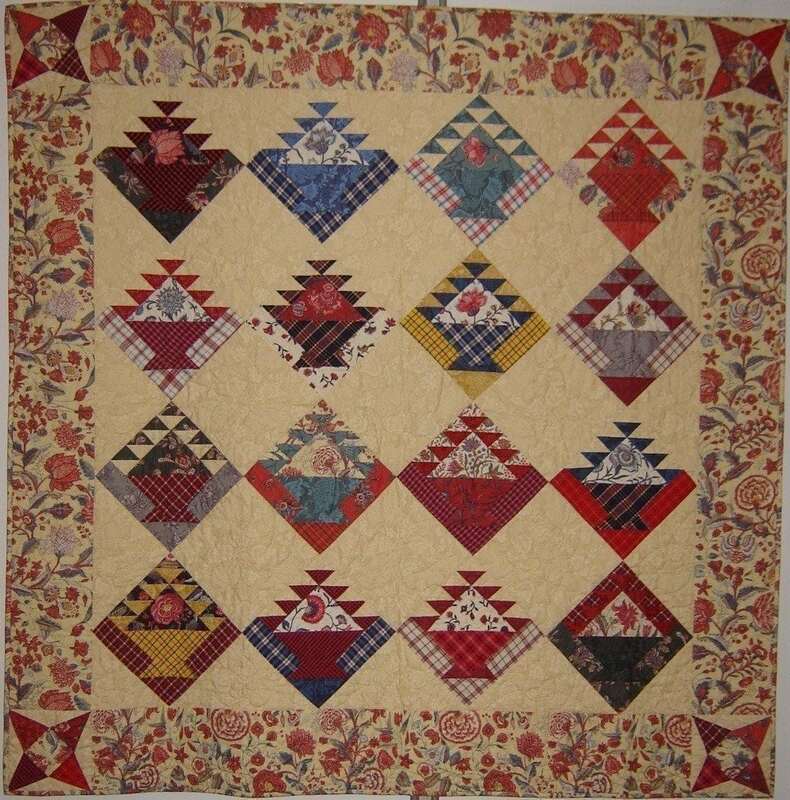 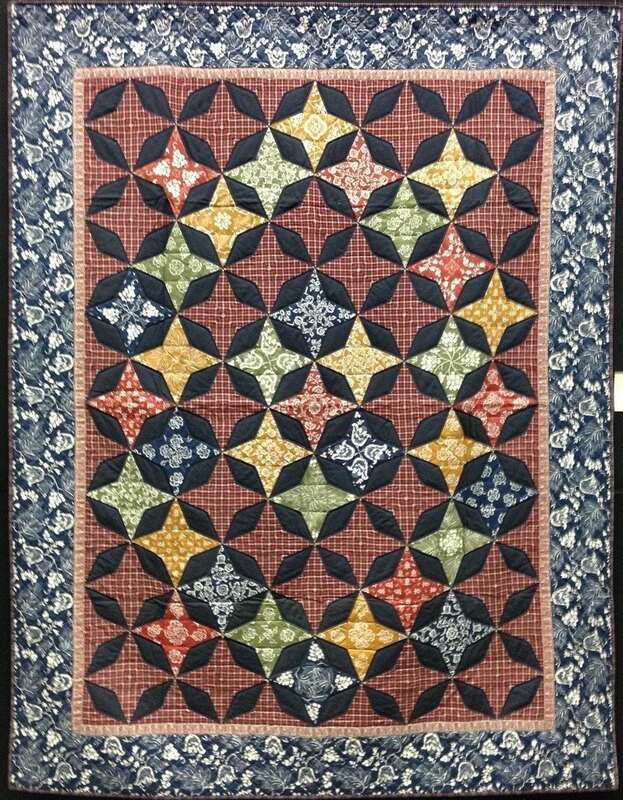 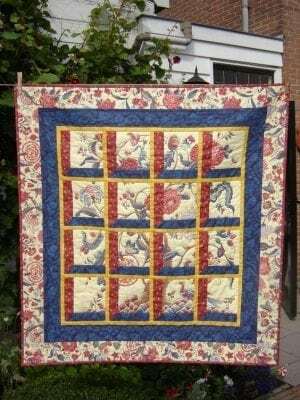 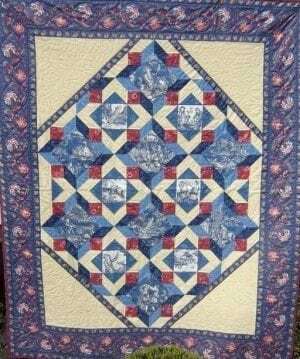 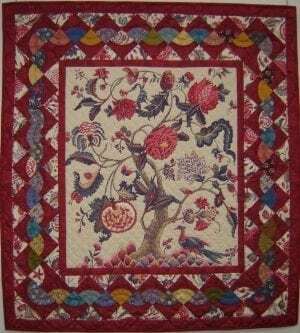 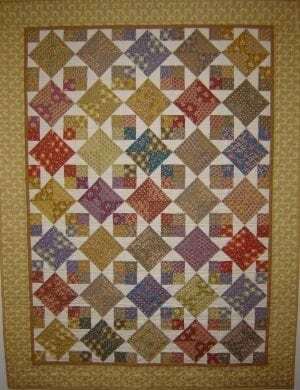 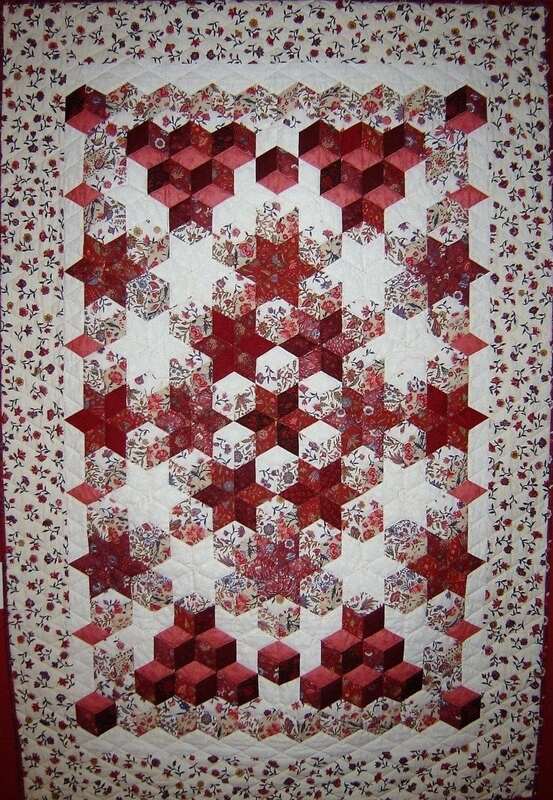 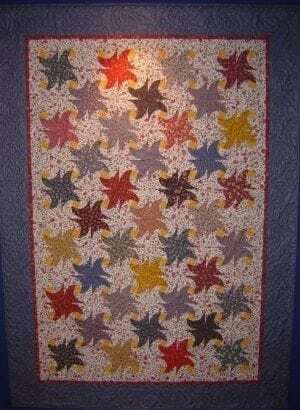 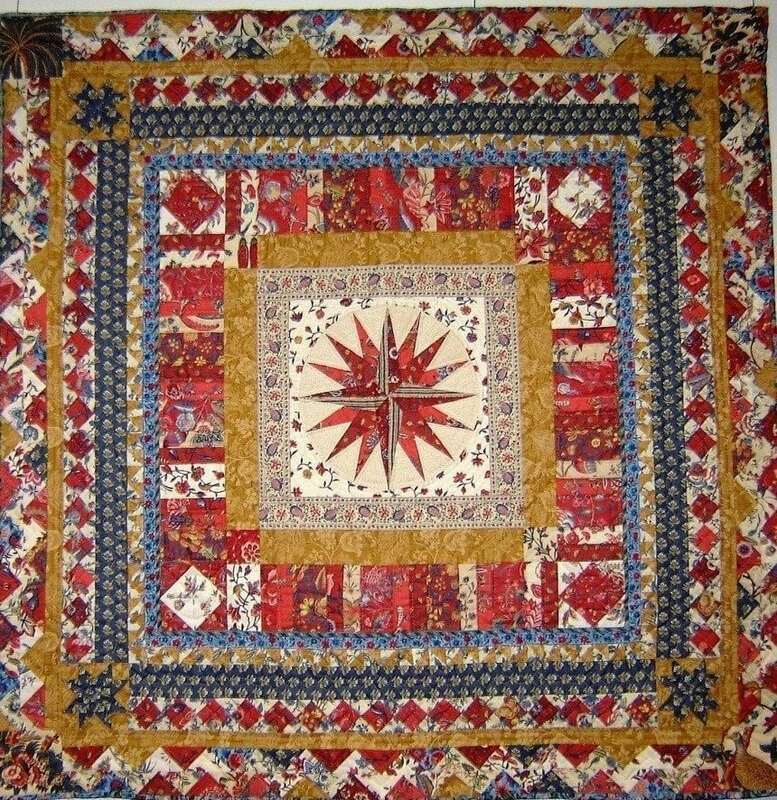 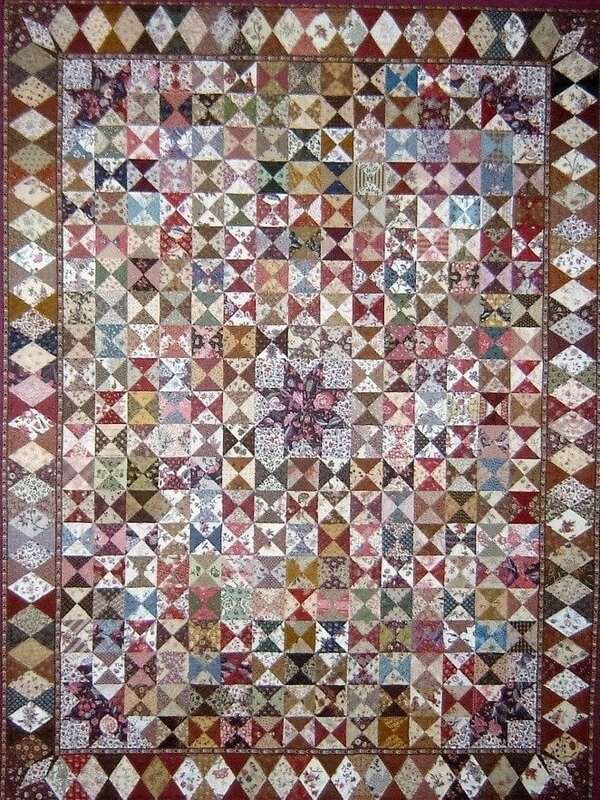 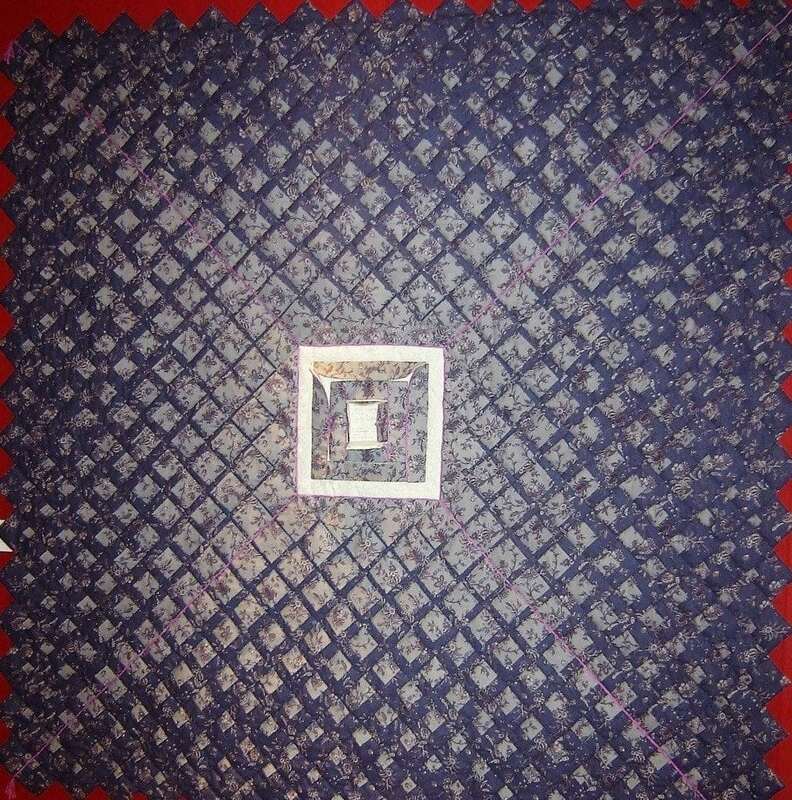 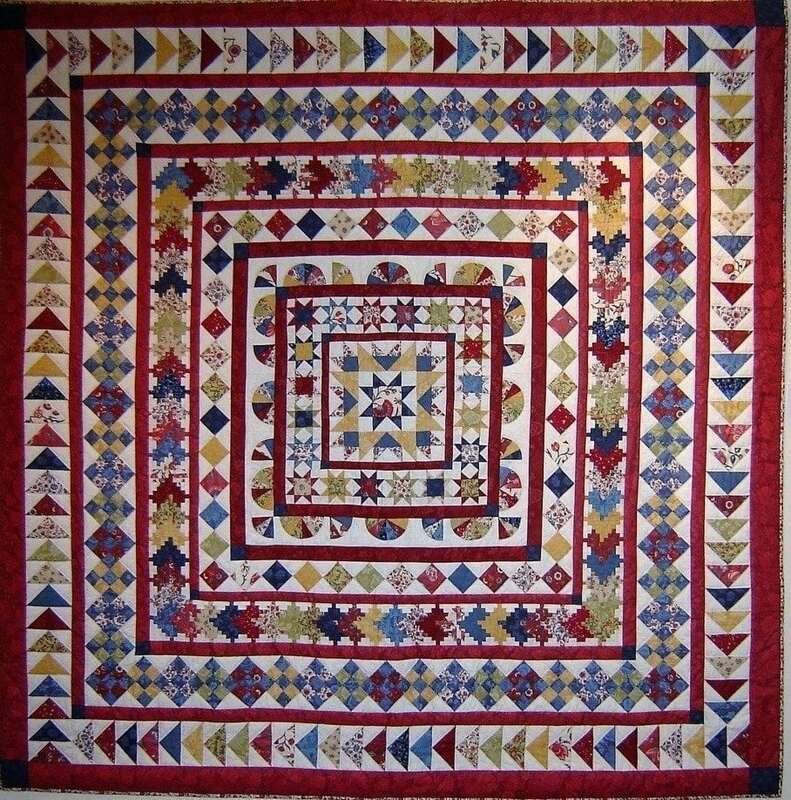 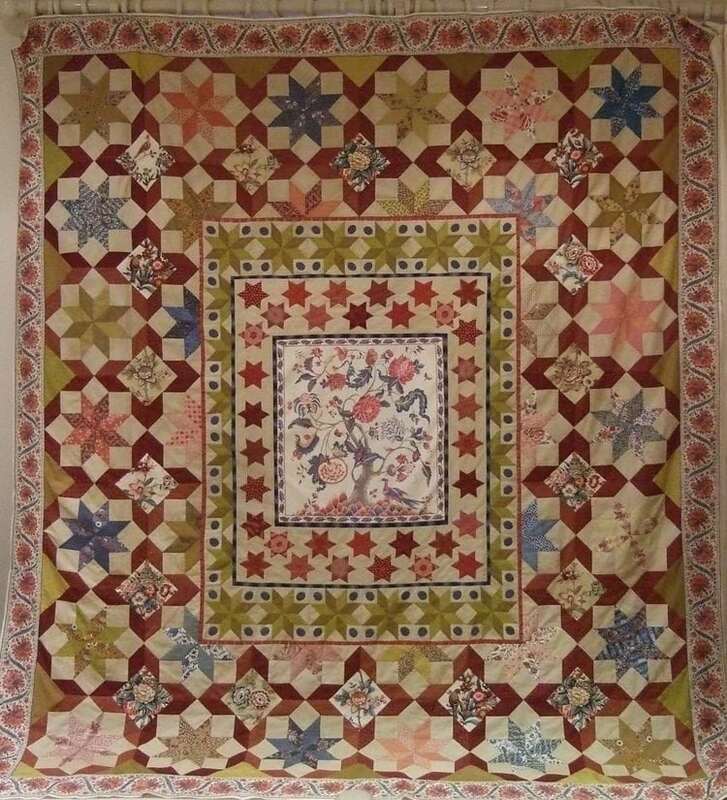 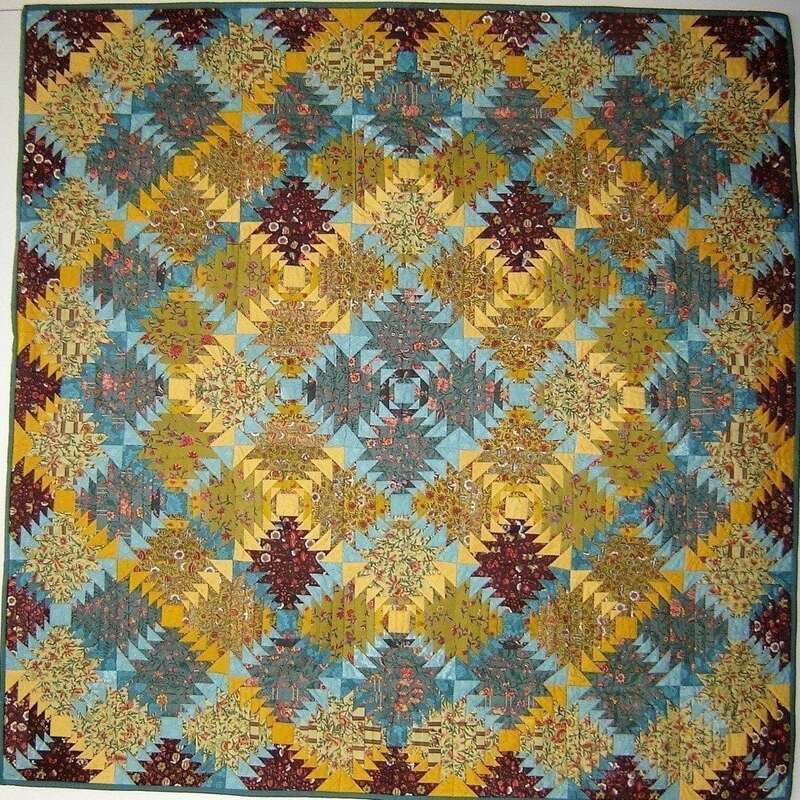 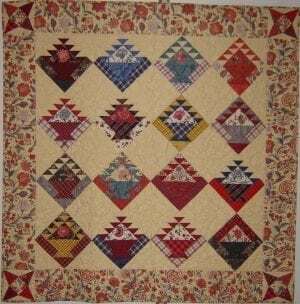 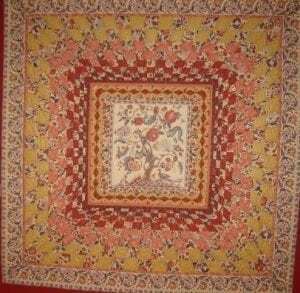 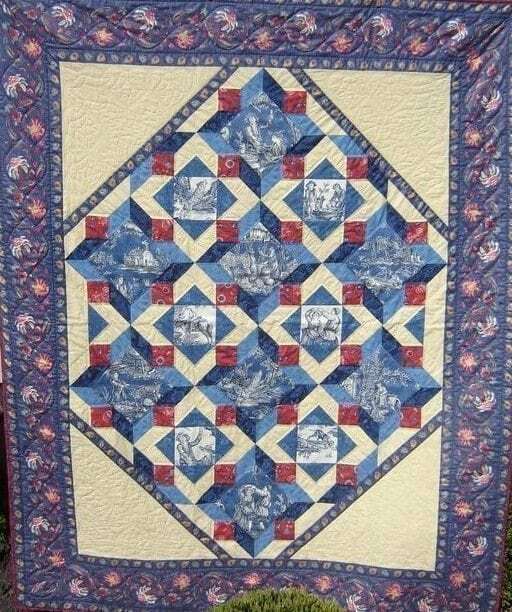 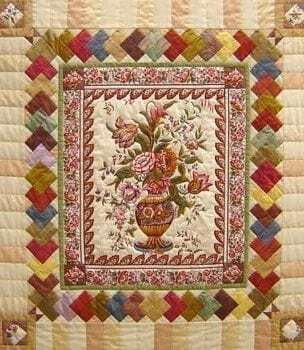 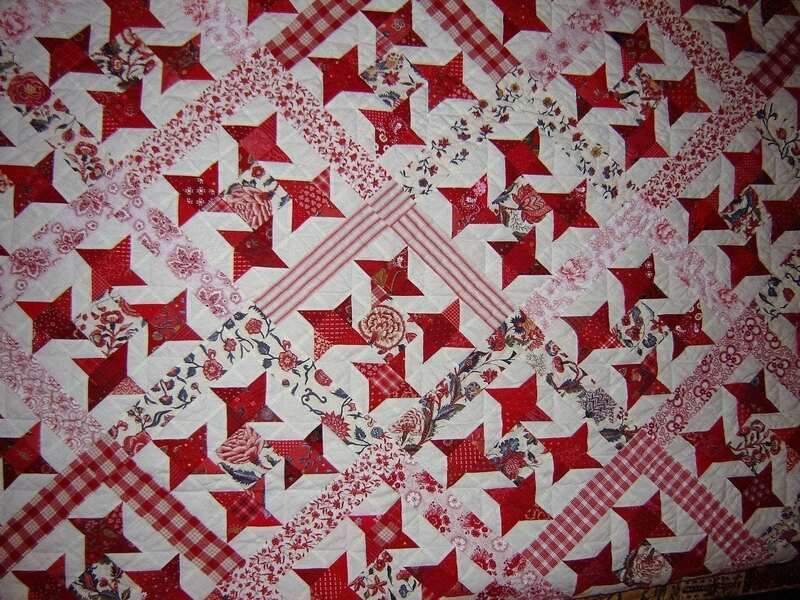 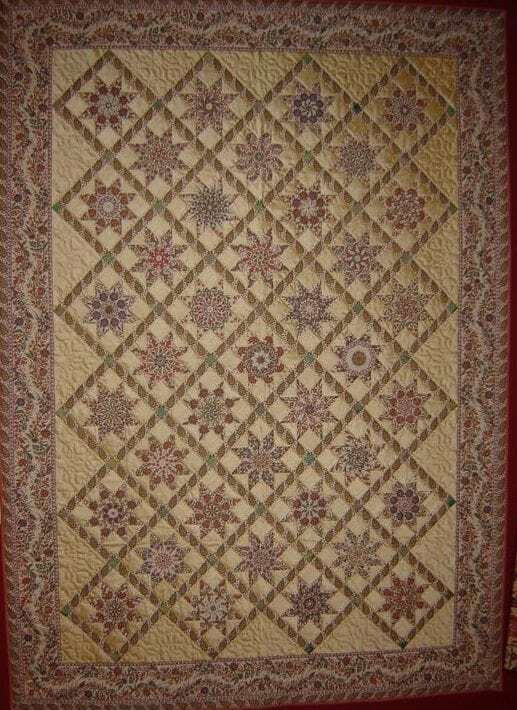 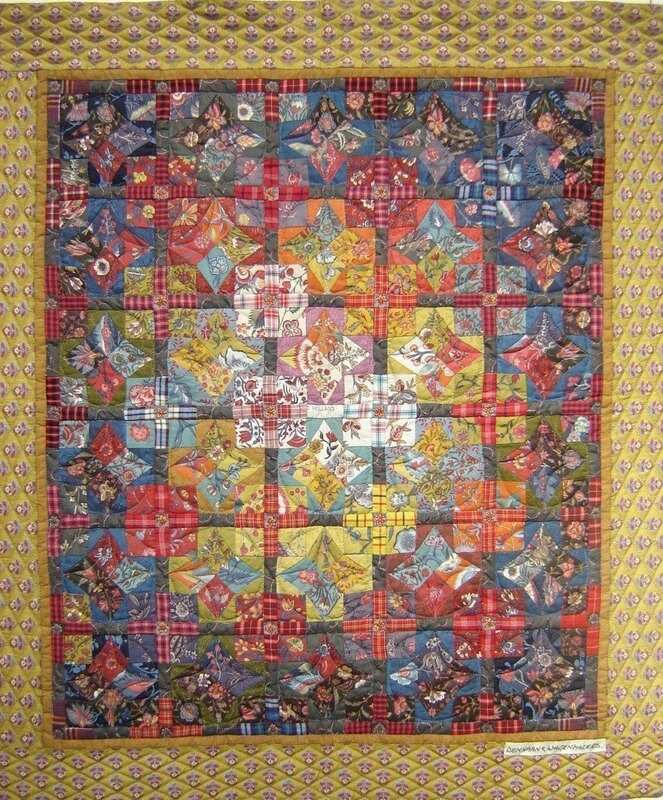 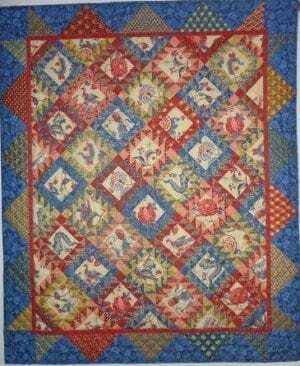 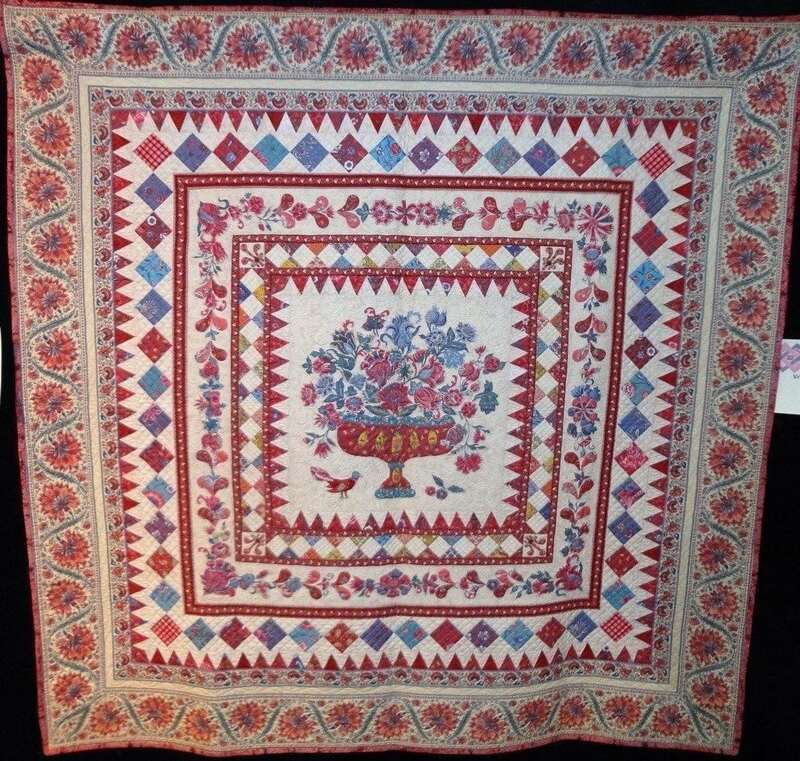 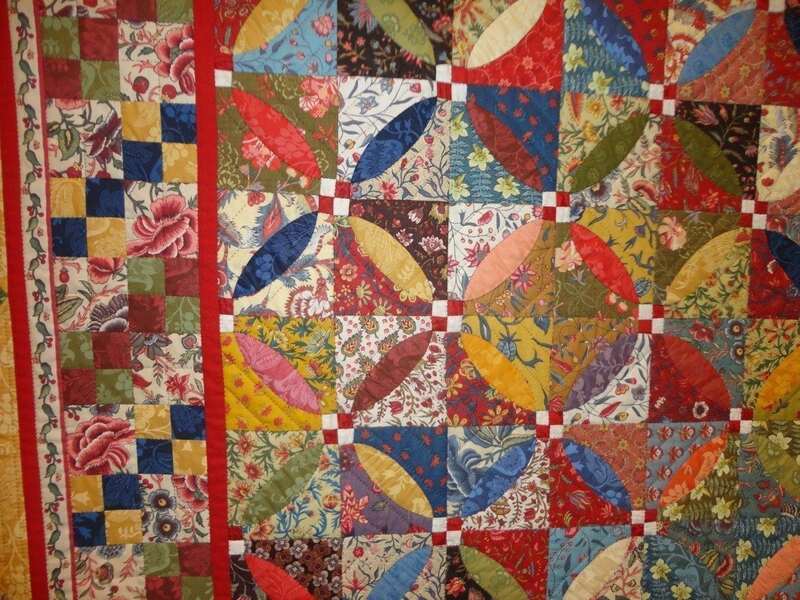 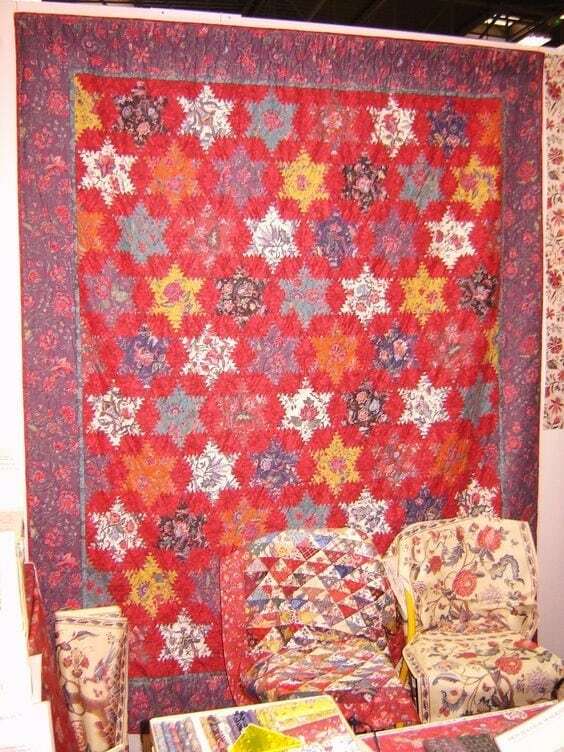 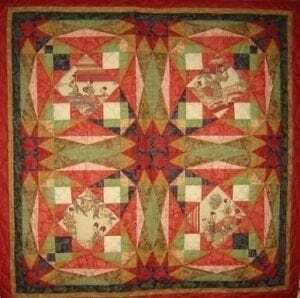 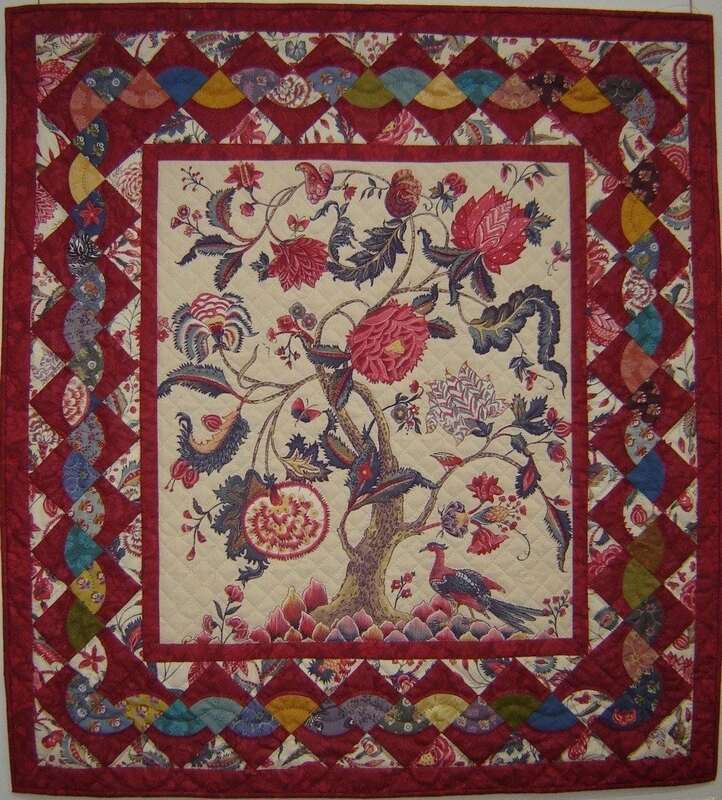 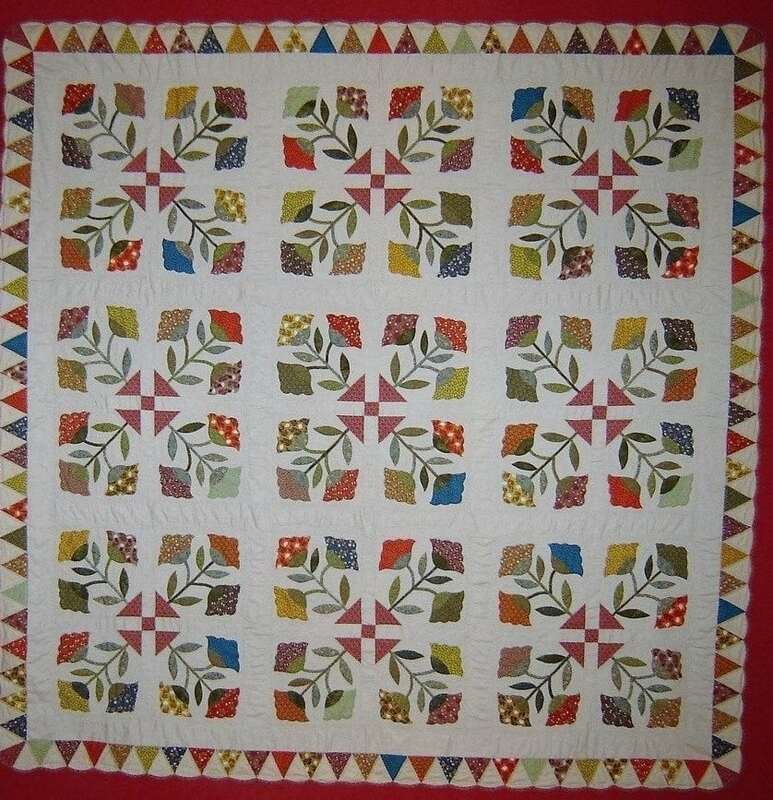 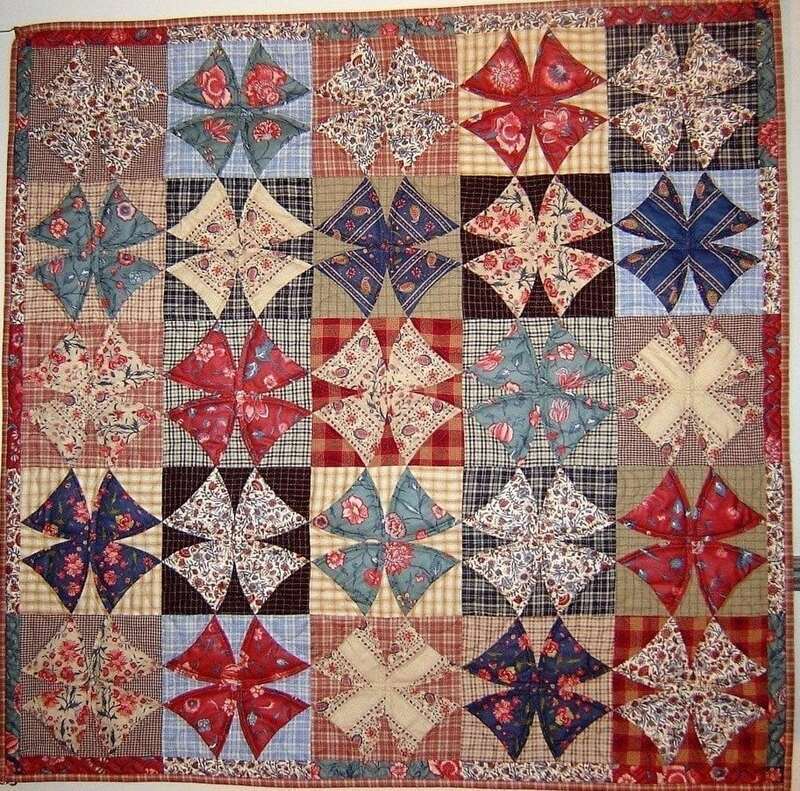 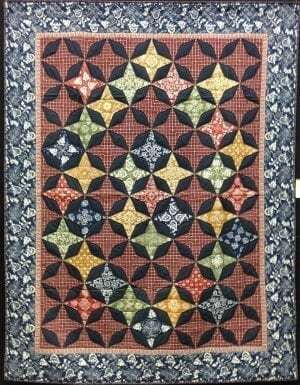 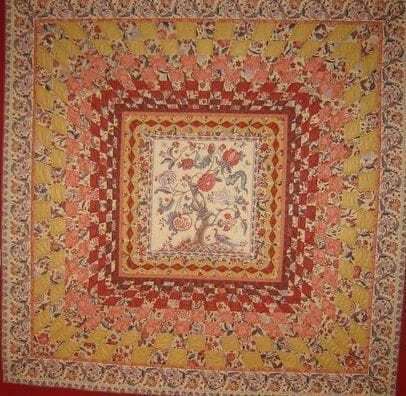 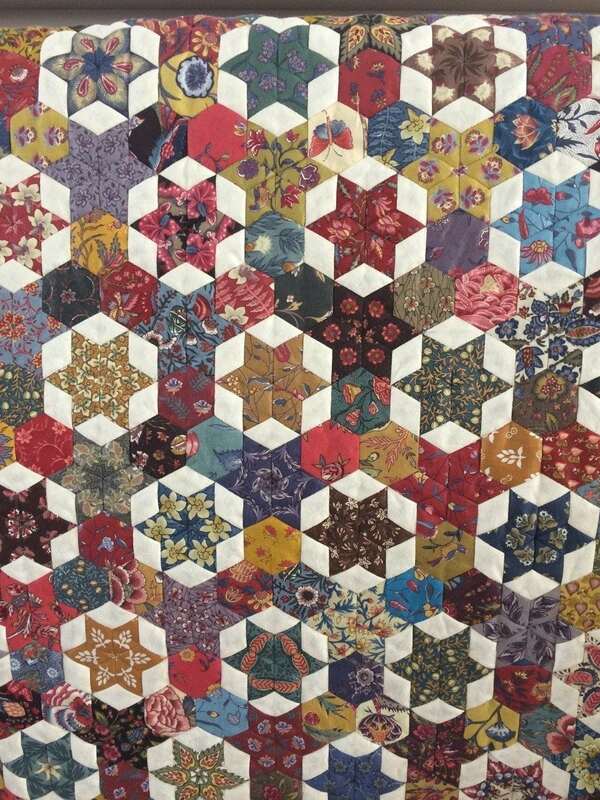 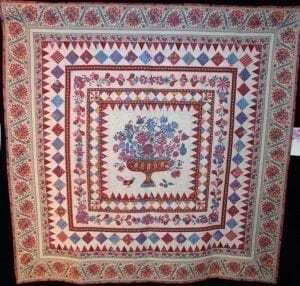 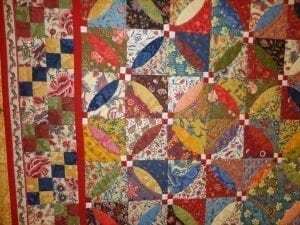 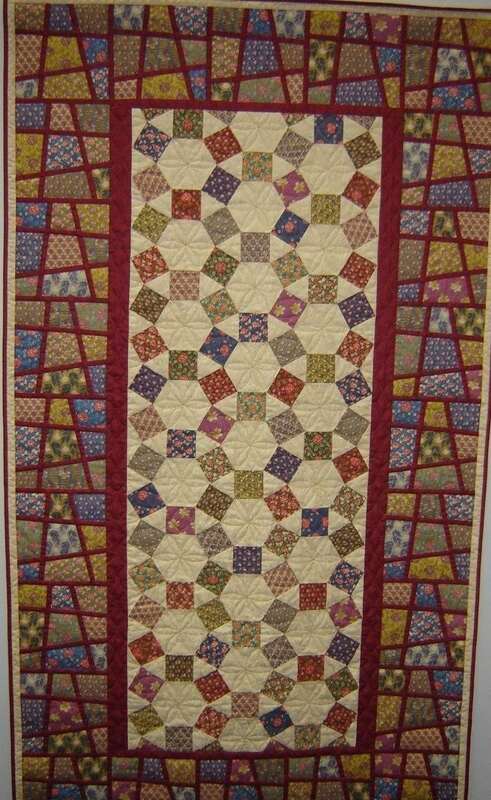 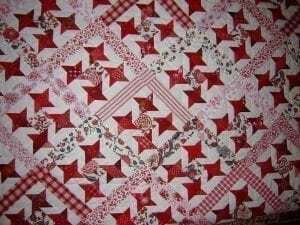 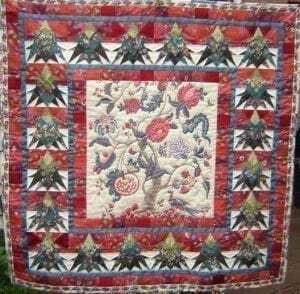 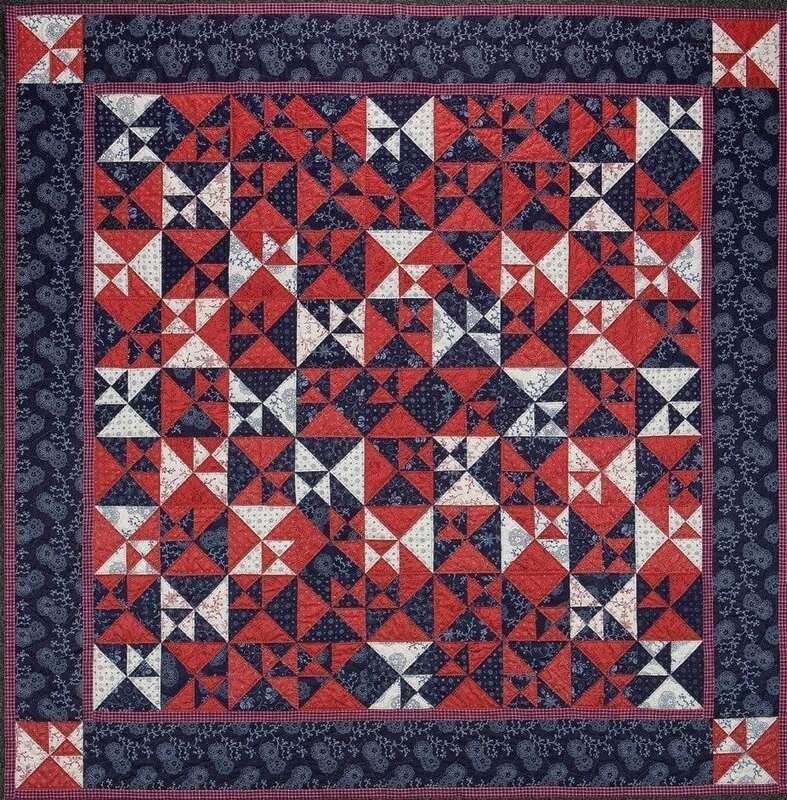 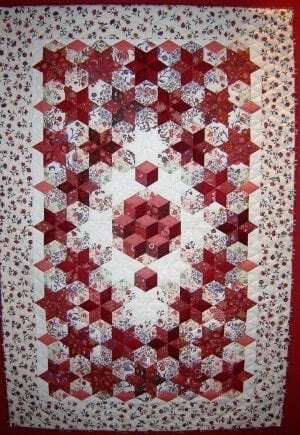 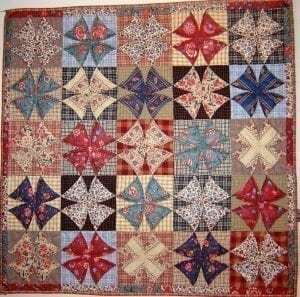 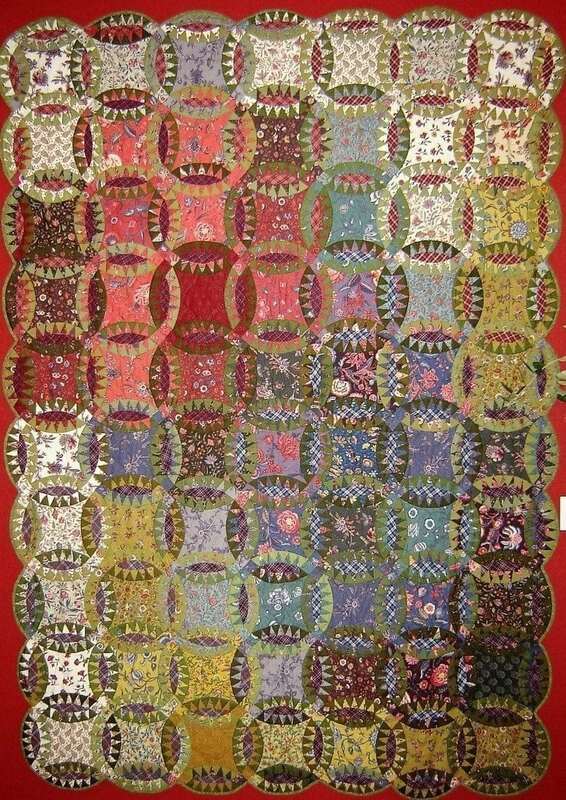 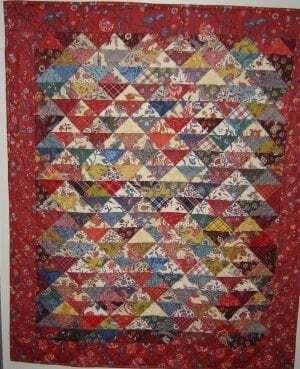 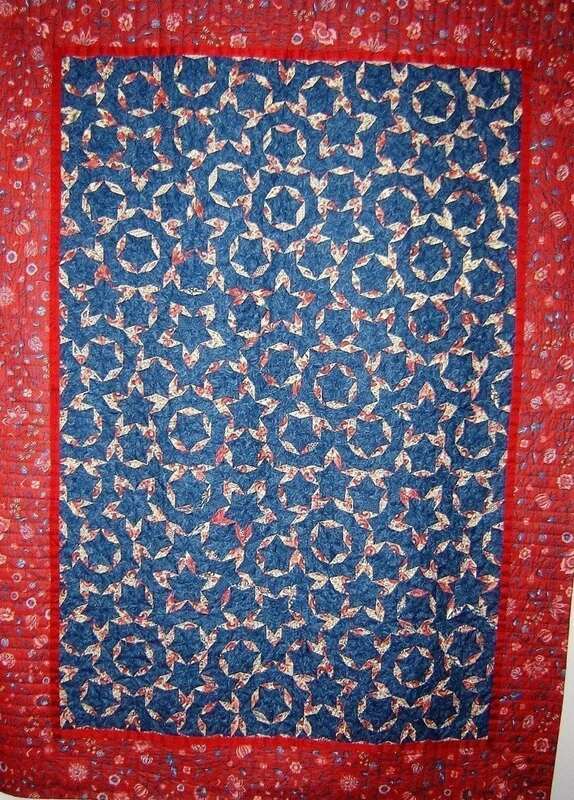 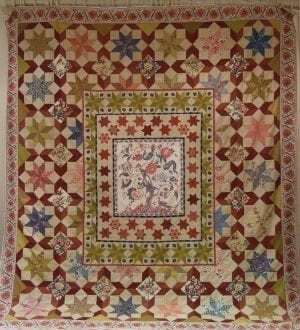 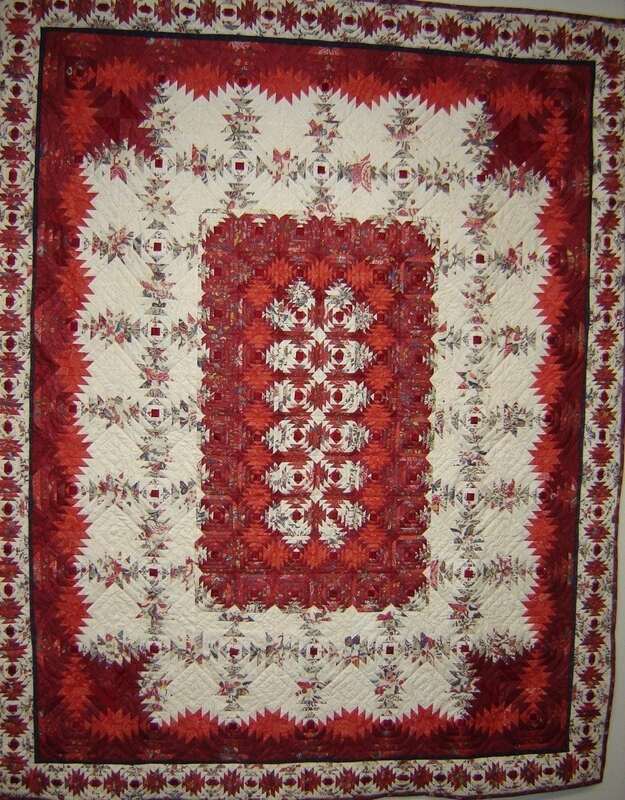 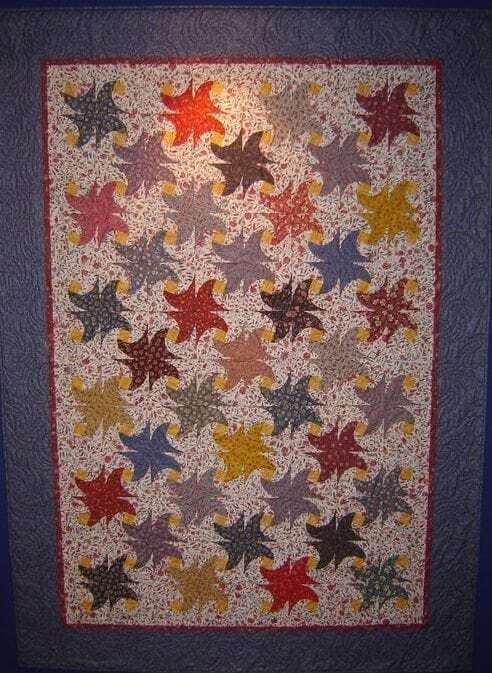 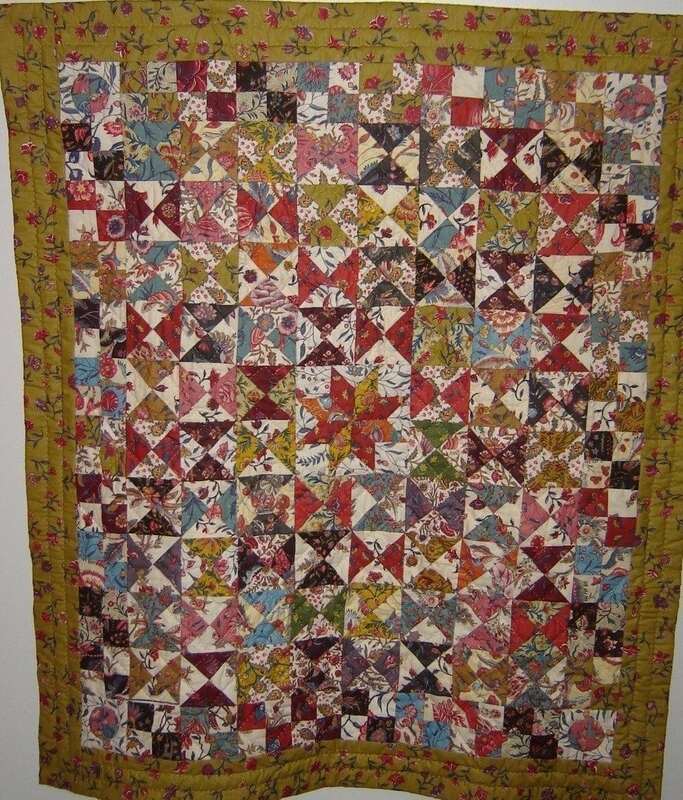 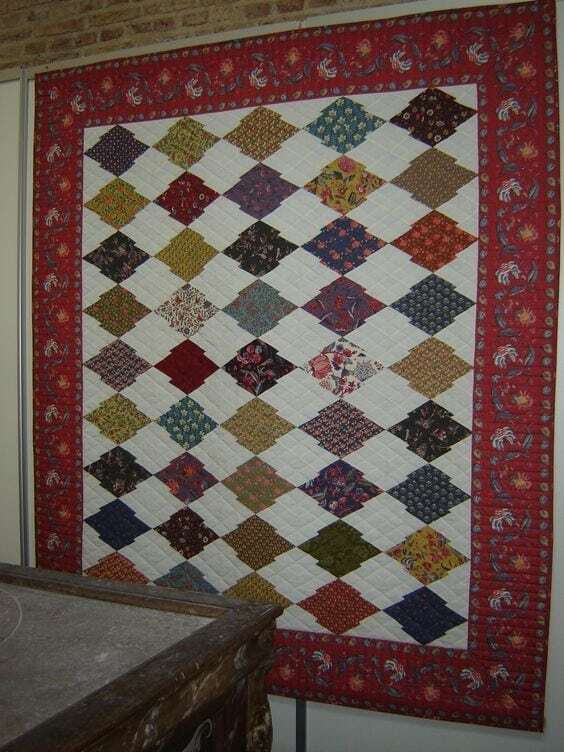 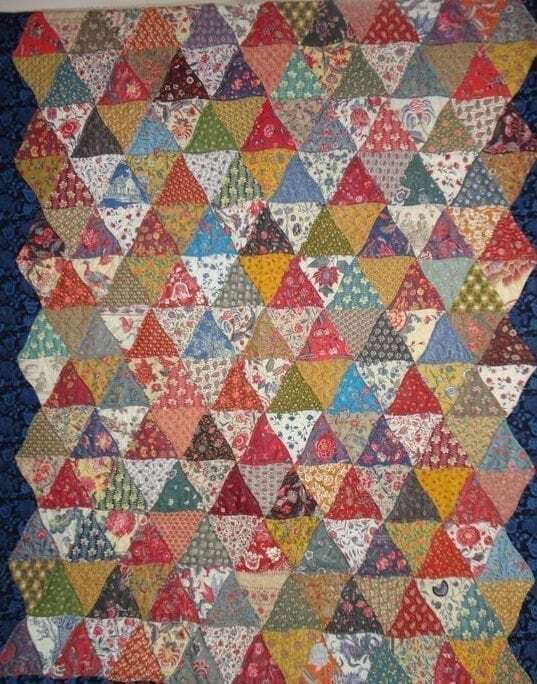 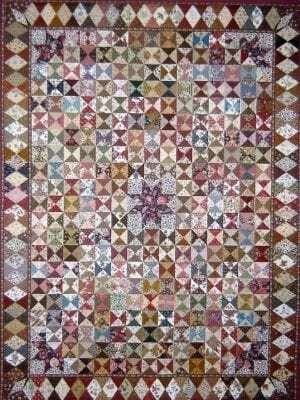 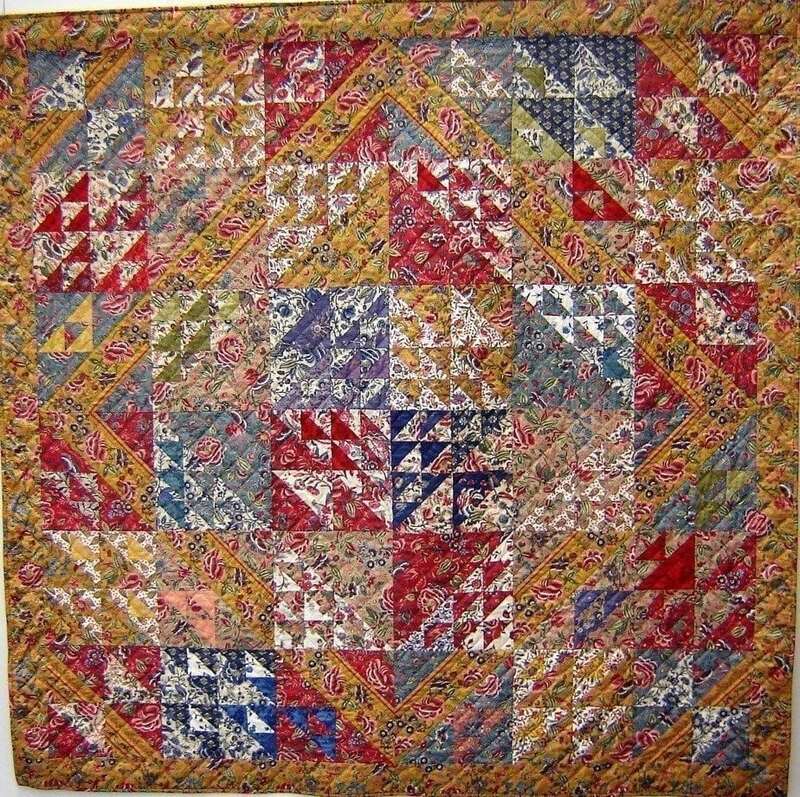 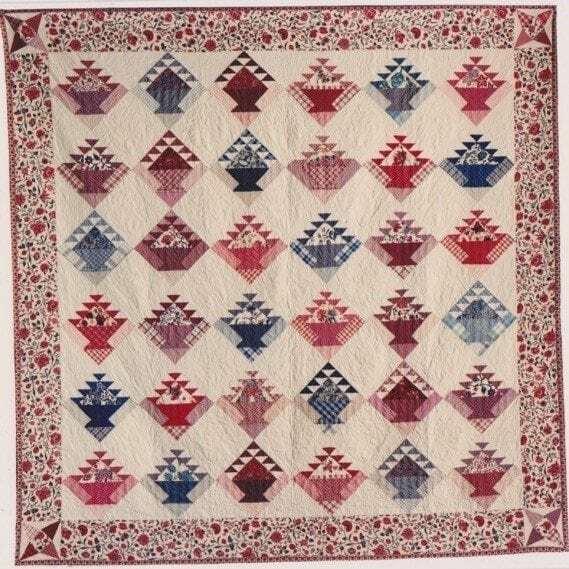 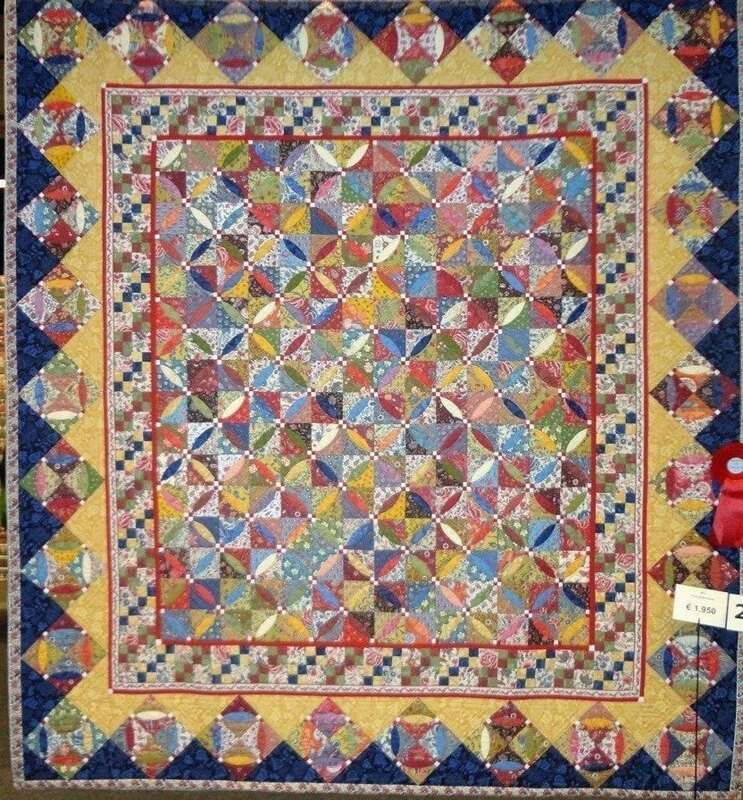 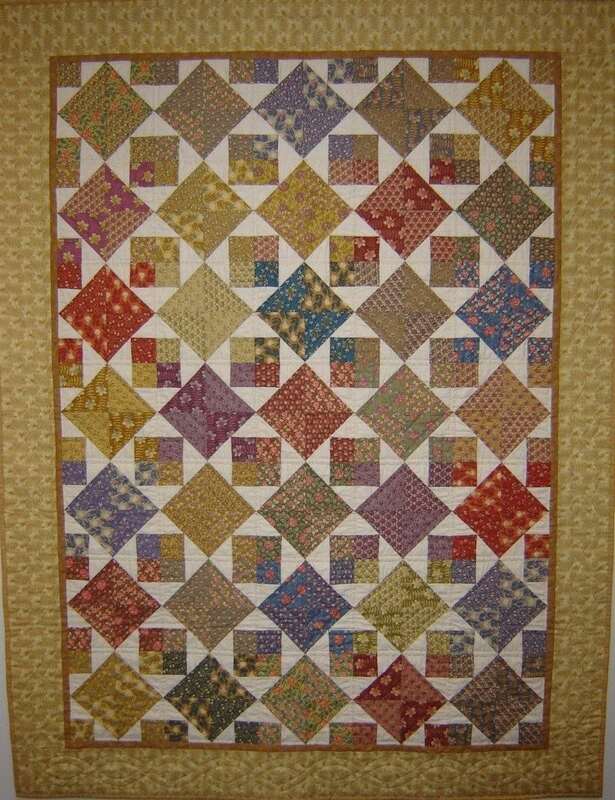 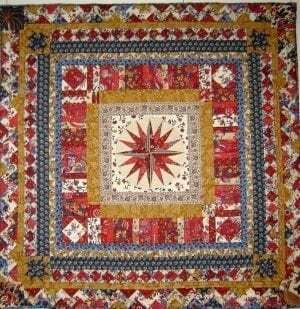 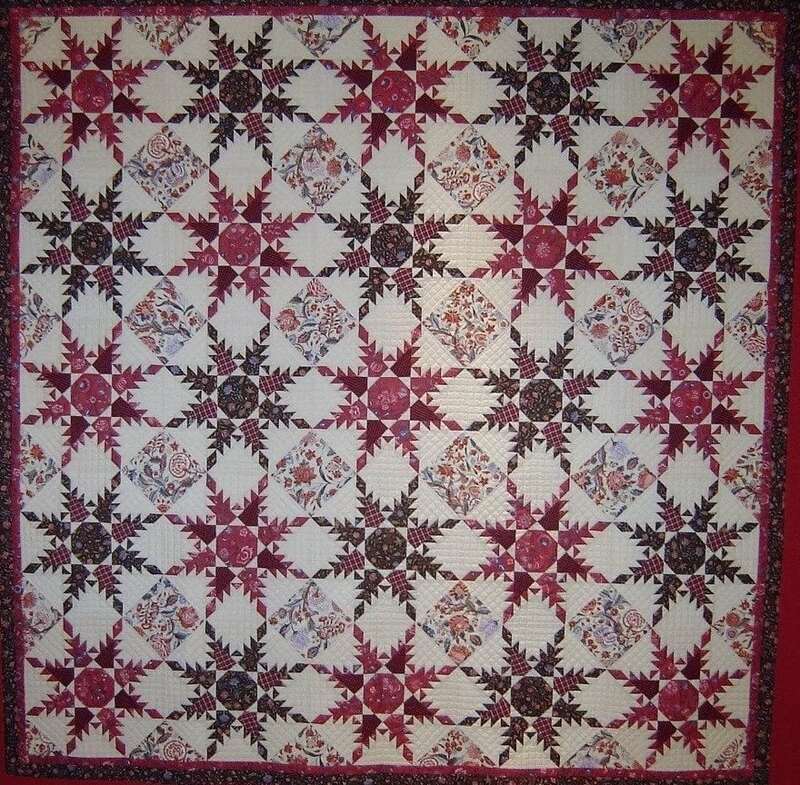 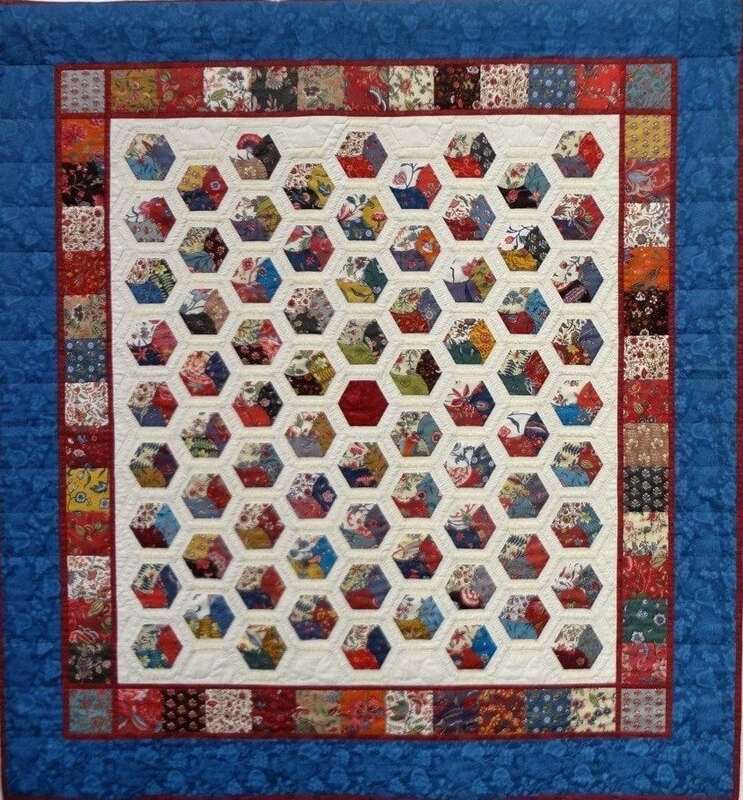 When you also have a quilt made with our chintz fabrics, you are welcome to show your work on this page to other quilters. 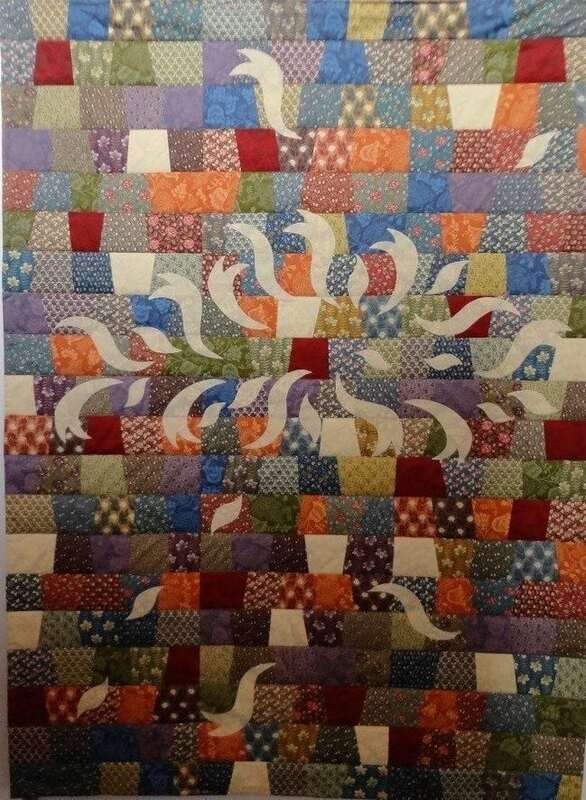 Because we were not successful in tracing the names of all creators we have chosen for this anonymous ” bird flight”. 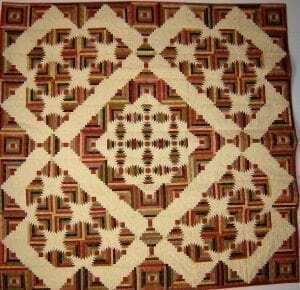 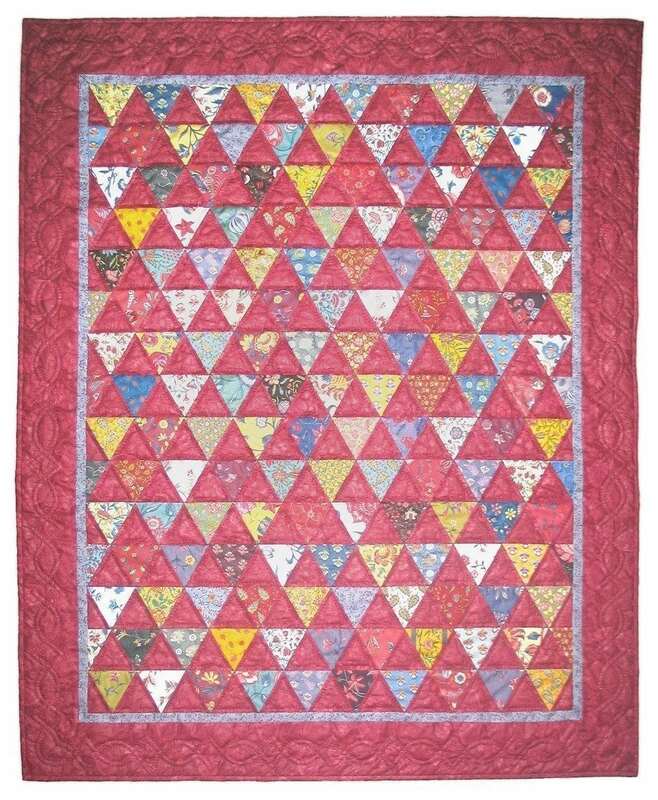 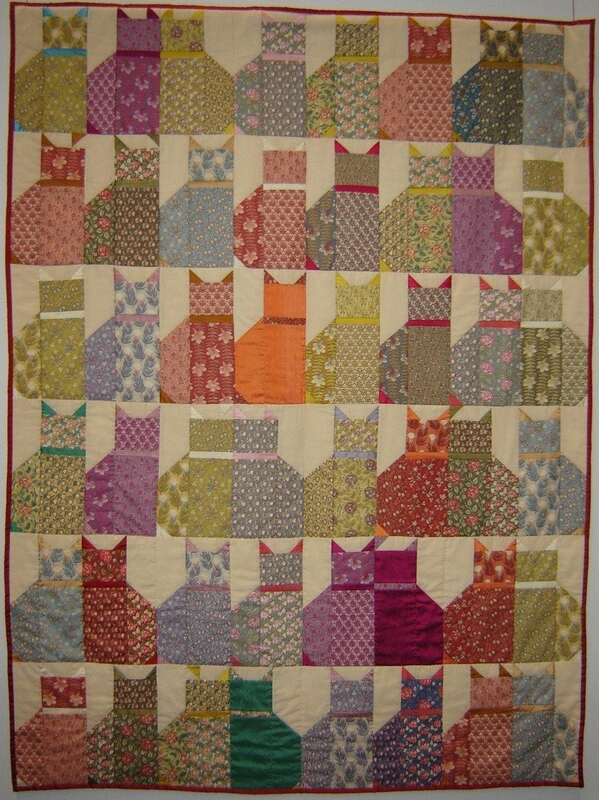 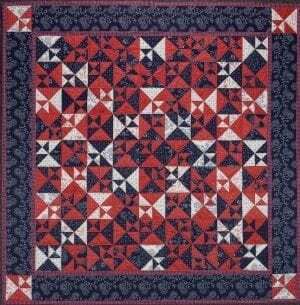 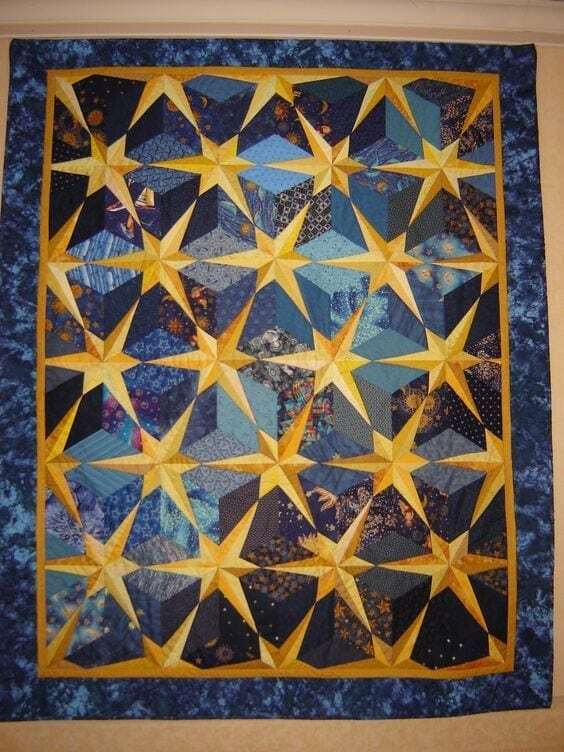 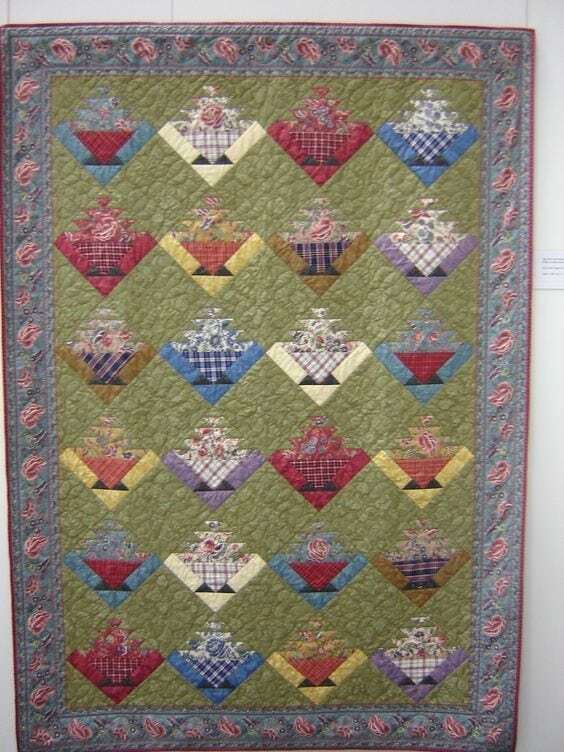 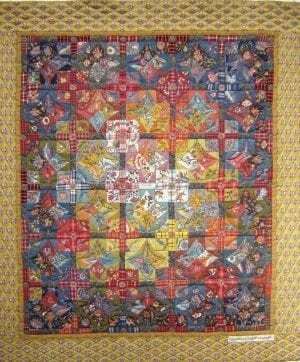 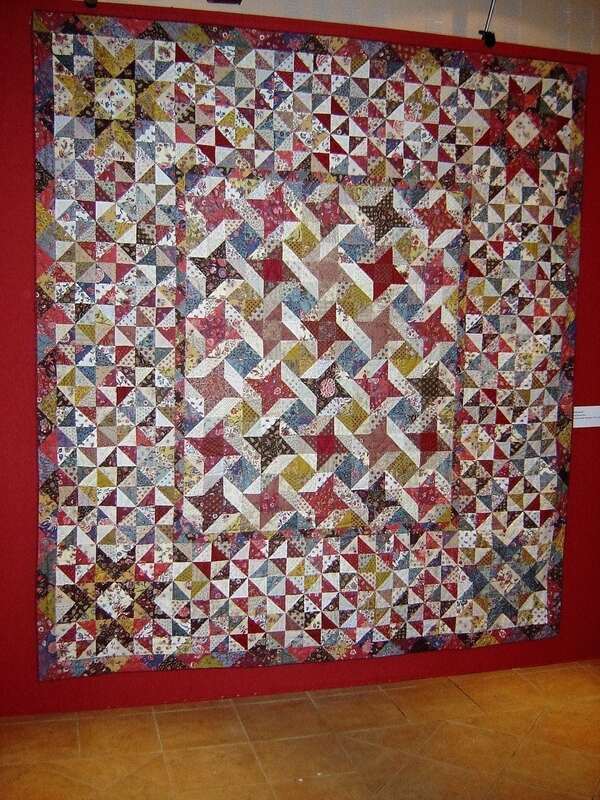 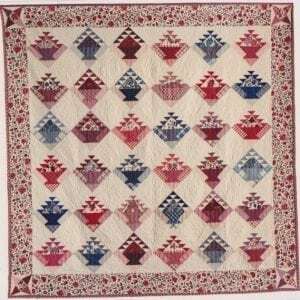 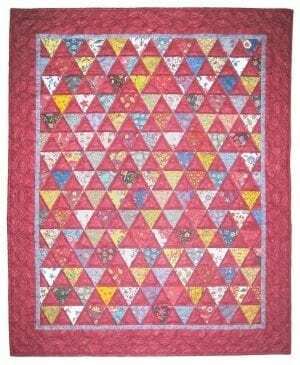 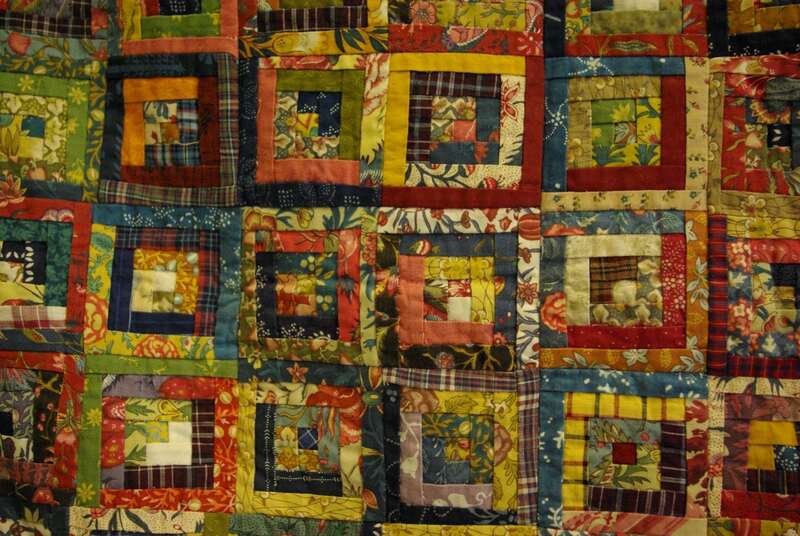 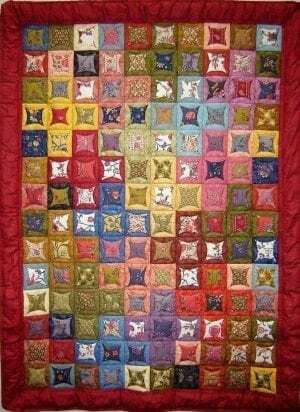 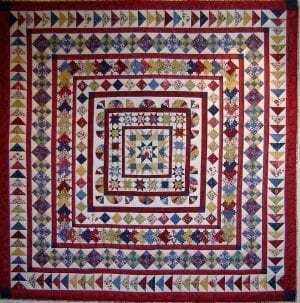 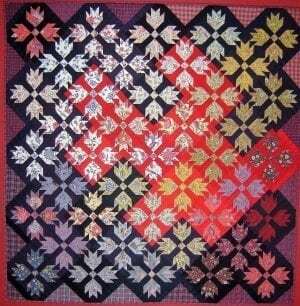 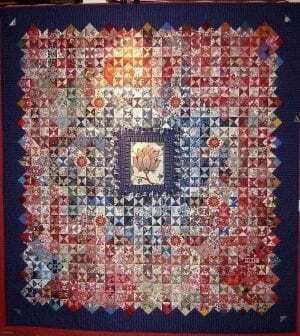 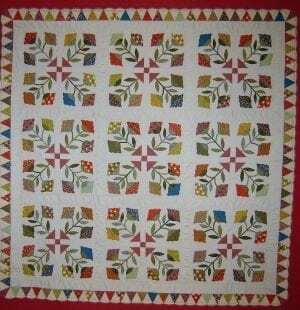 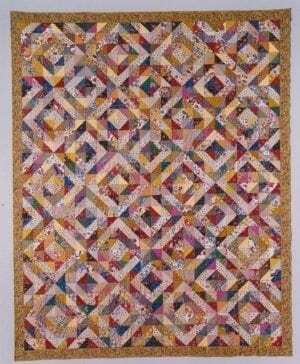 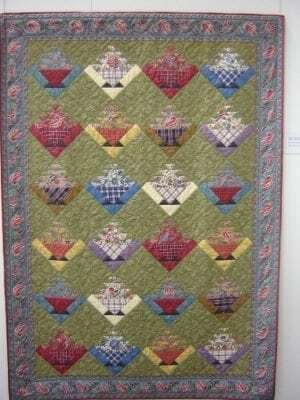 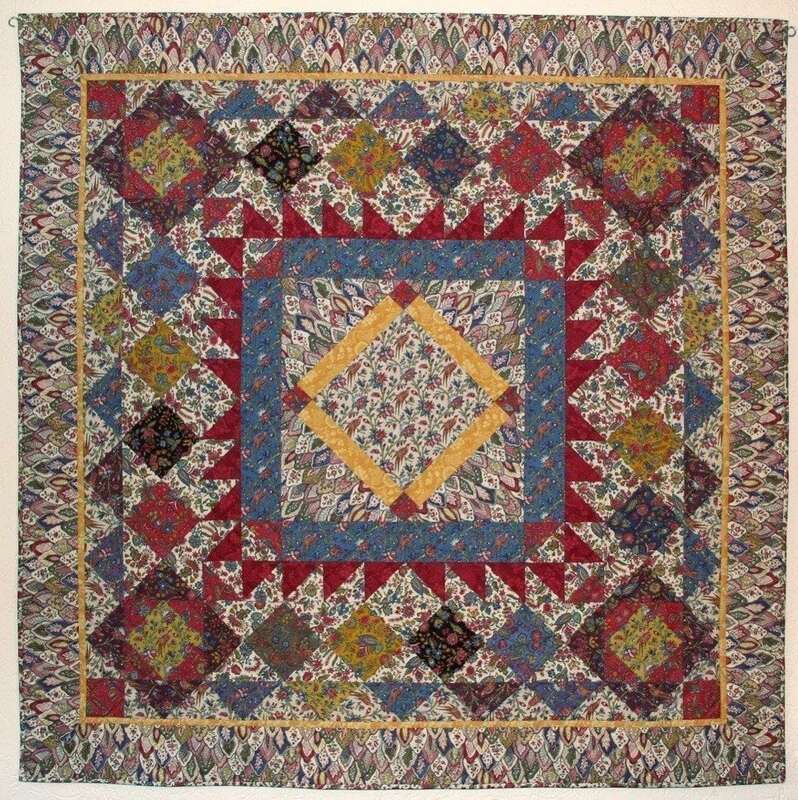 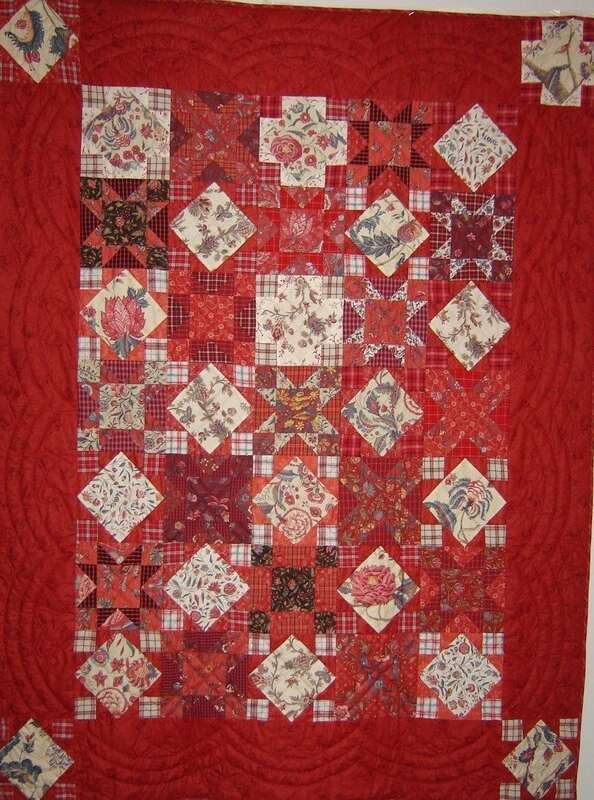 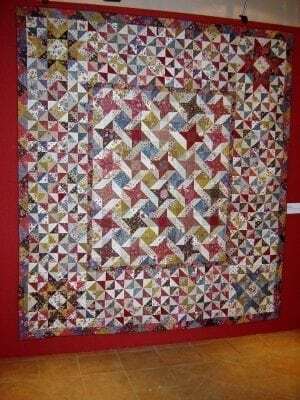 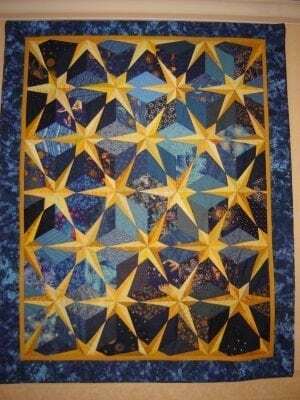 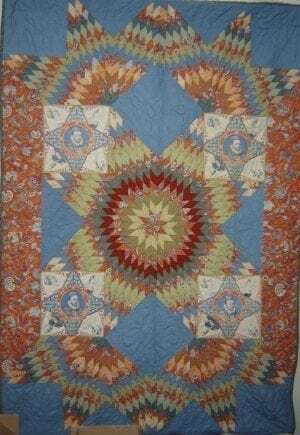 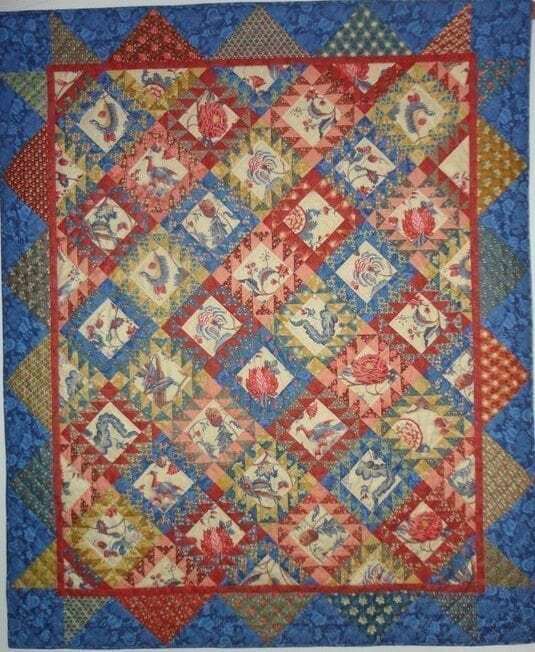 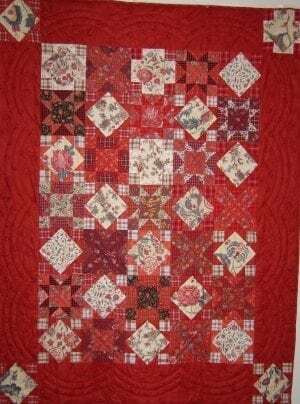 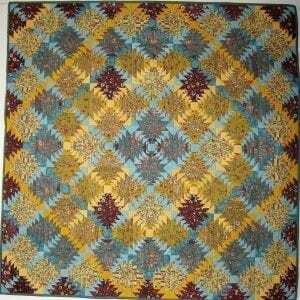 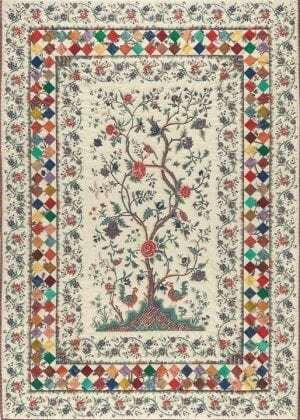 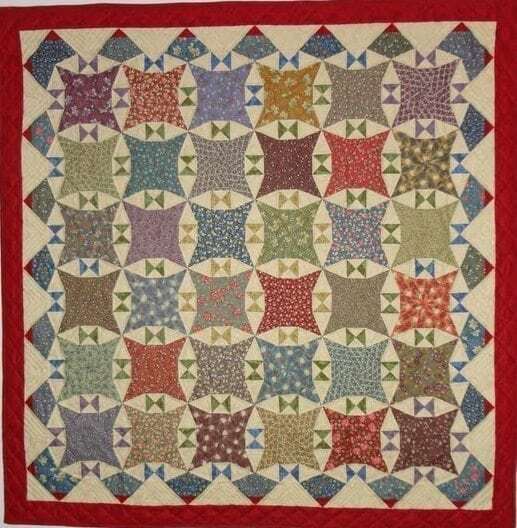 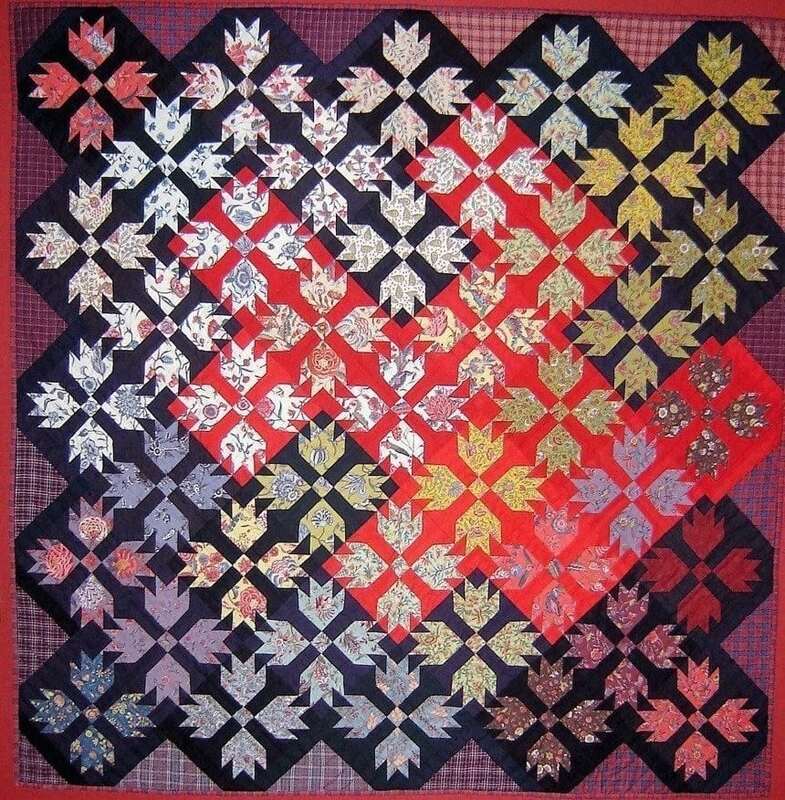 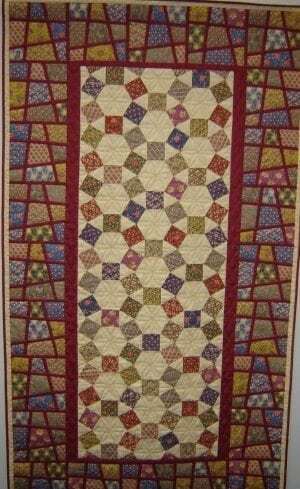 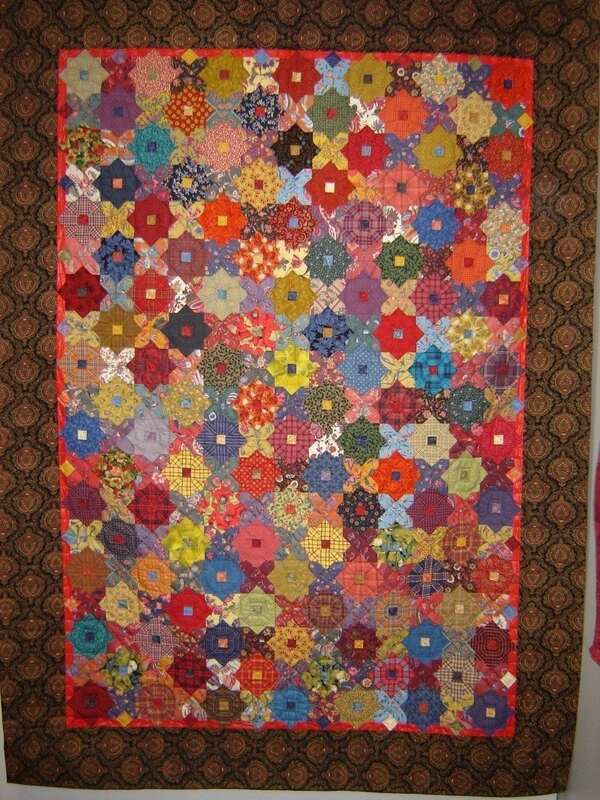 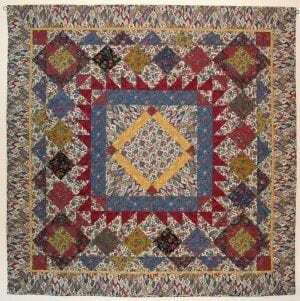 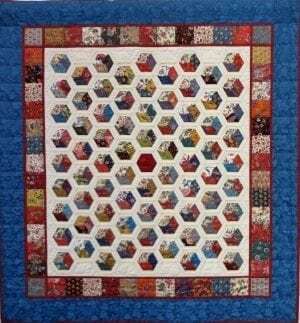 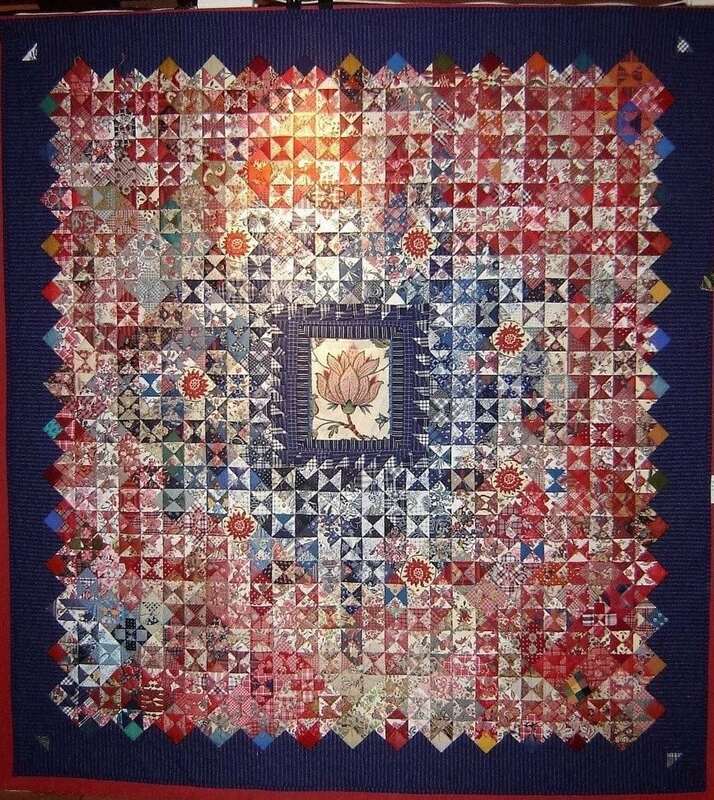 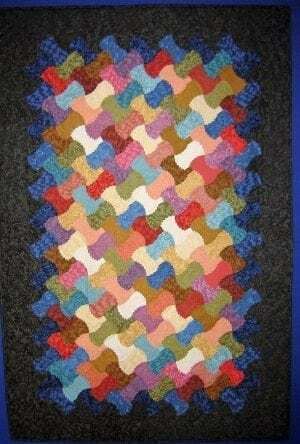 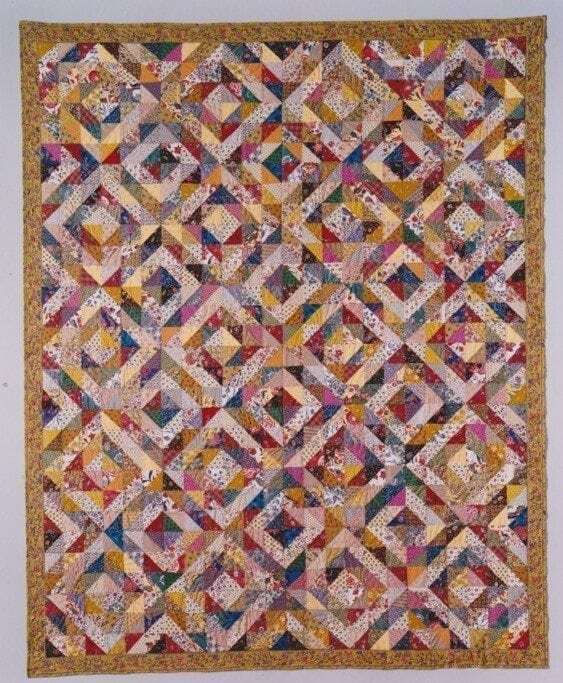 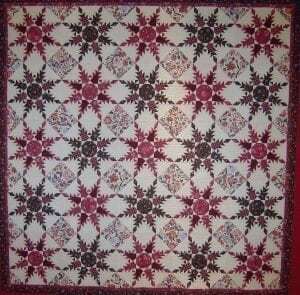 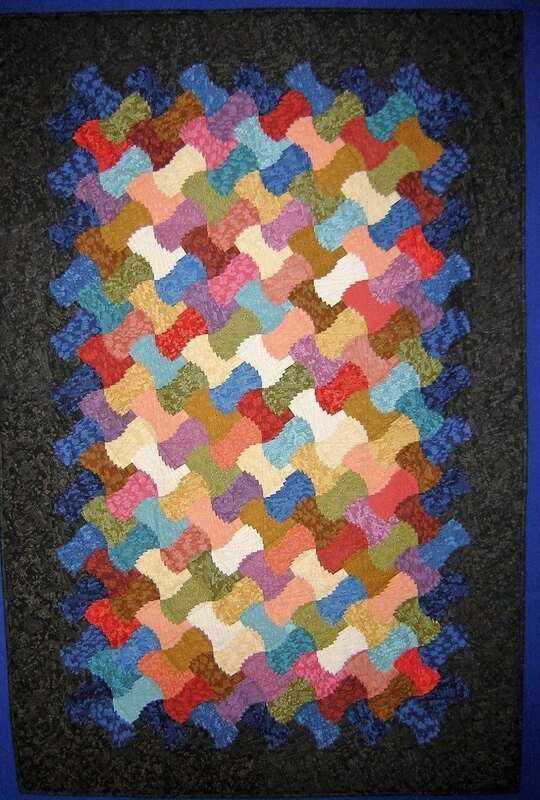 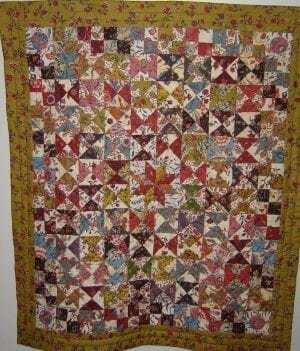 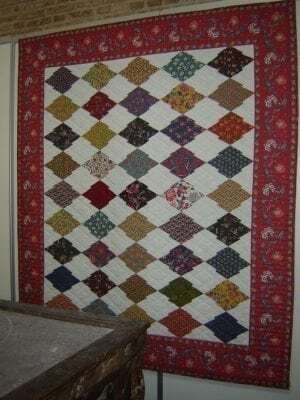 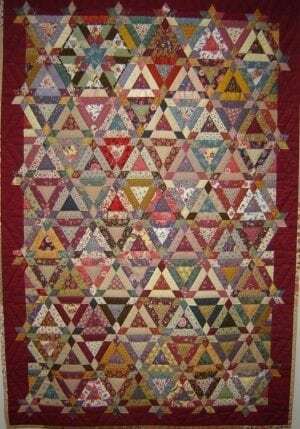 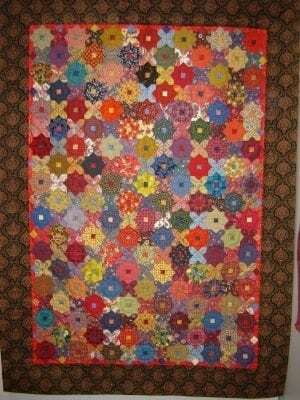 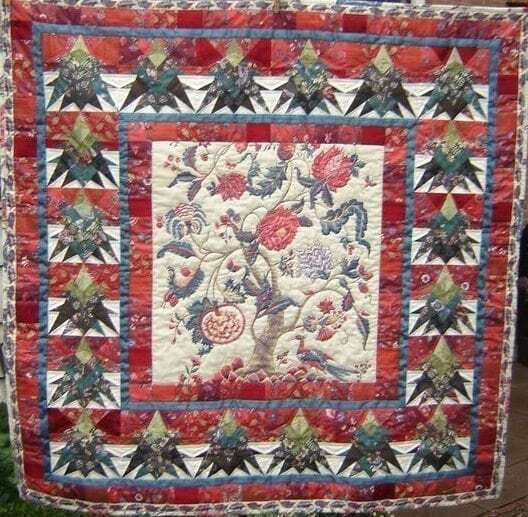 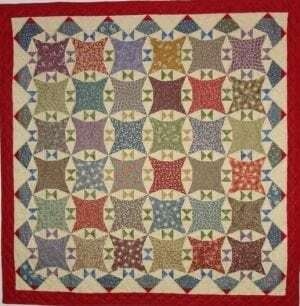 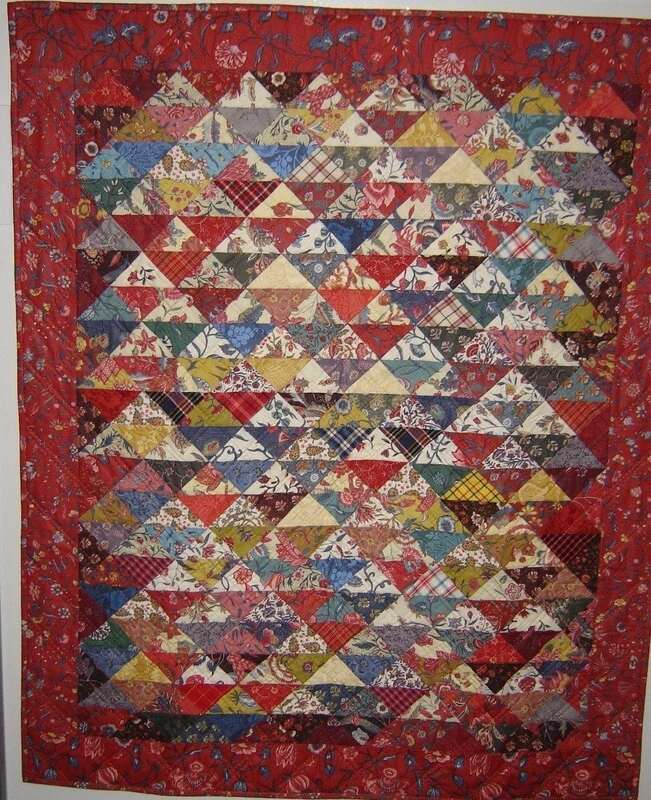 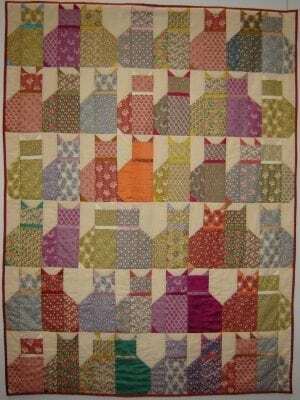 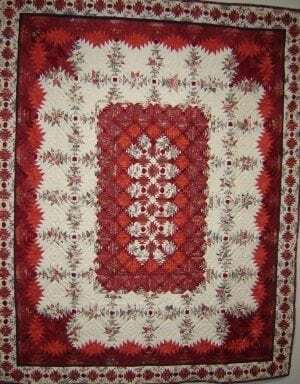 The quilts on this page are depicted without any profit motive other than inspiration. 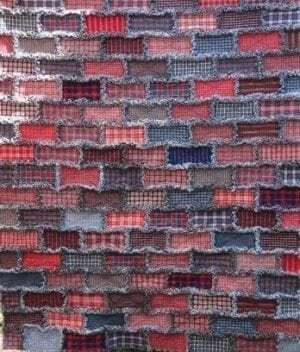 If you want more information on a particular project you can contact Hans ten Voorde. See customer service.